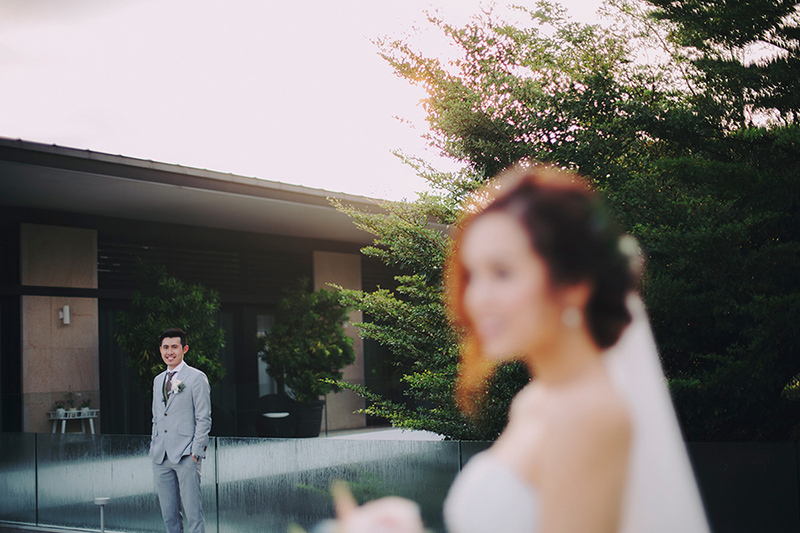 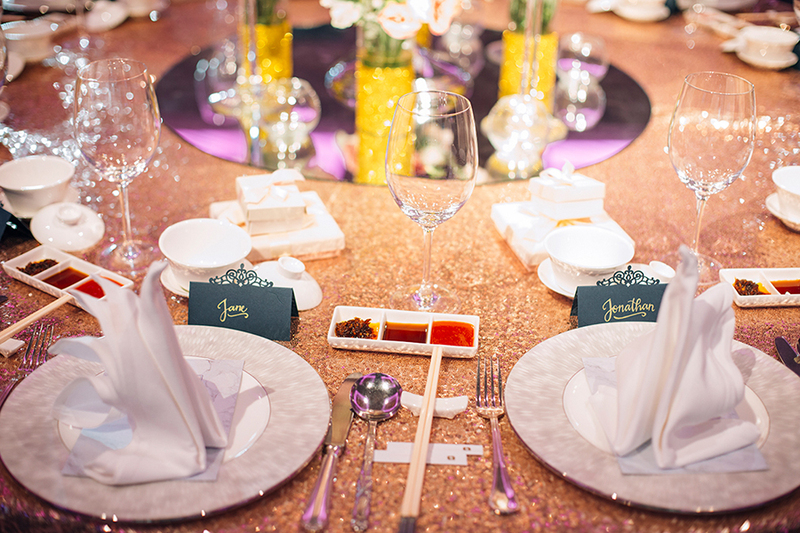 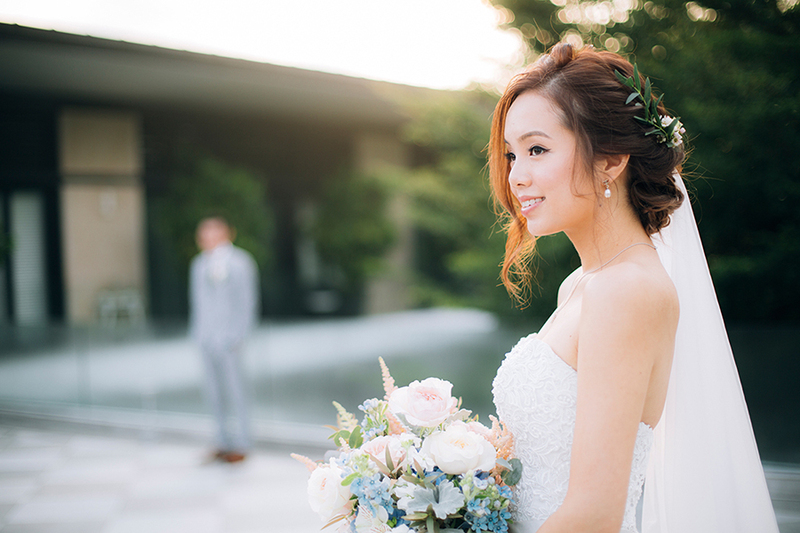 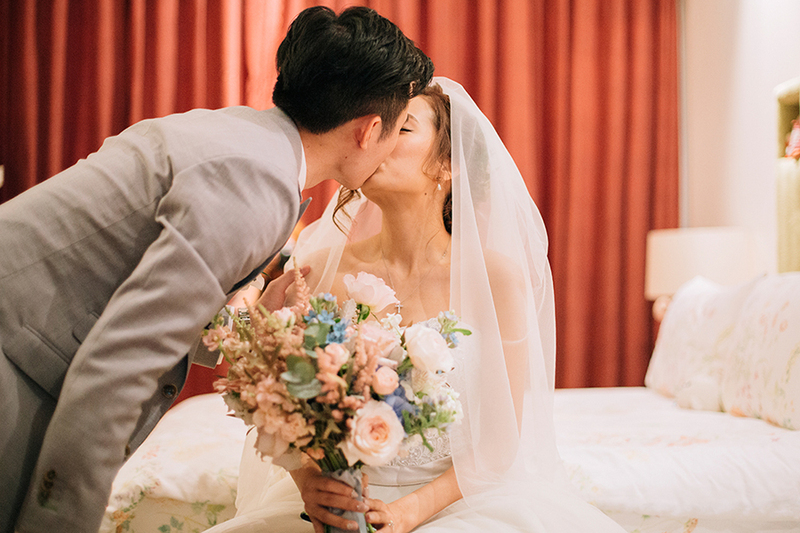 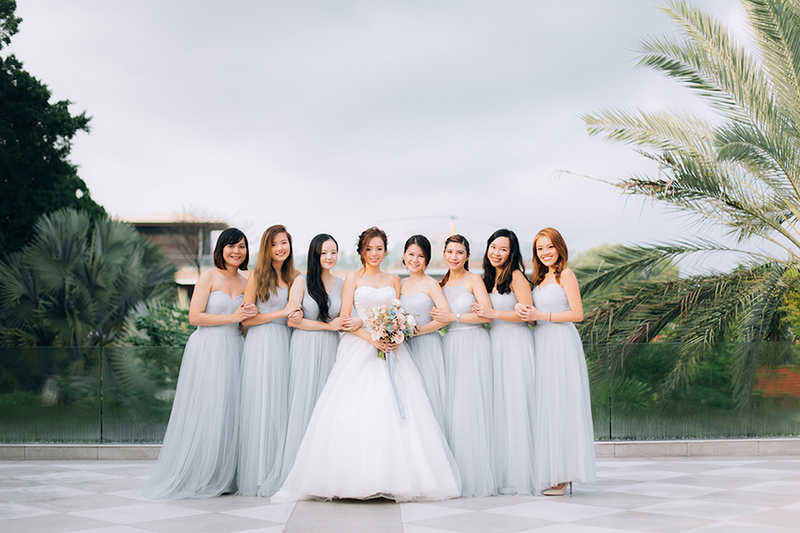 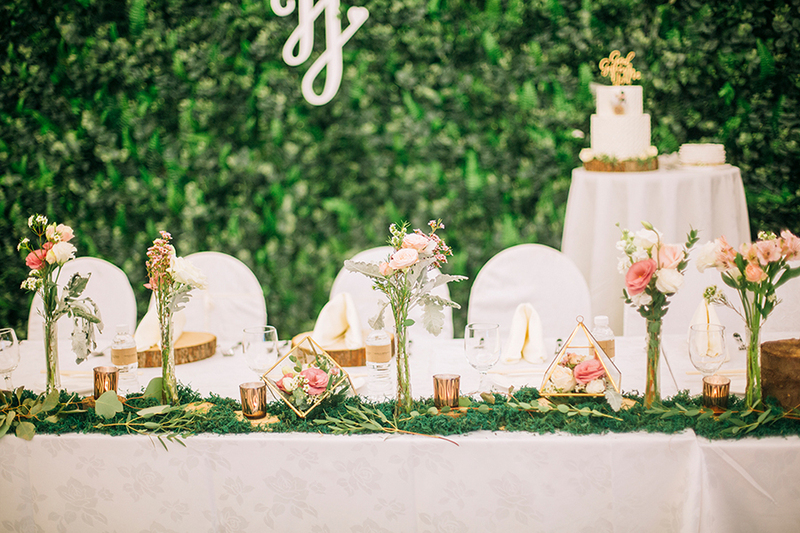 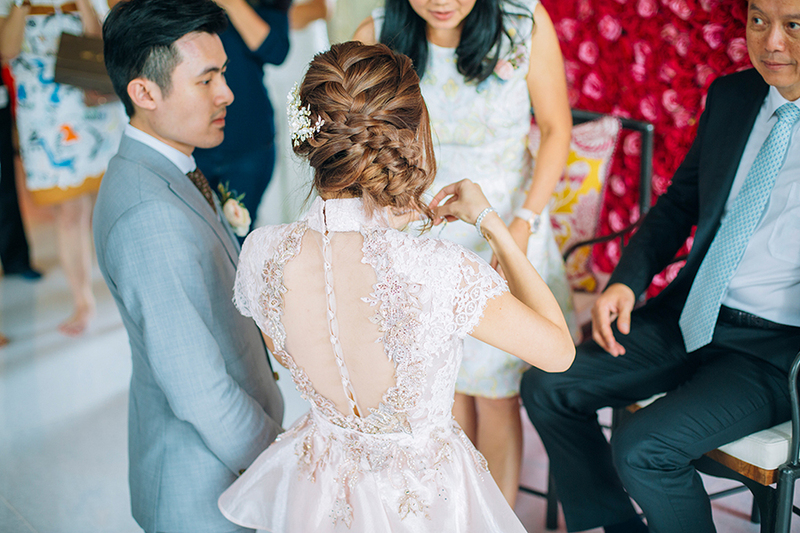 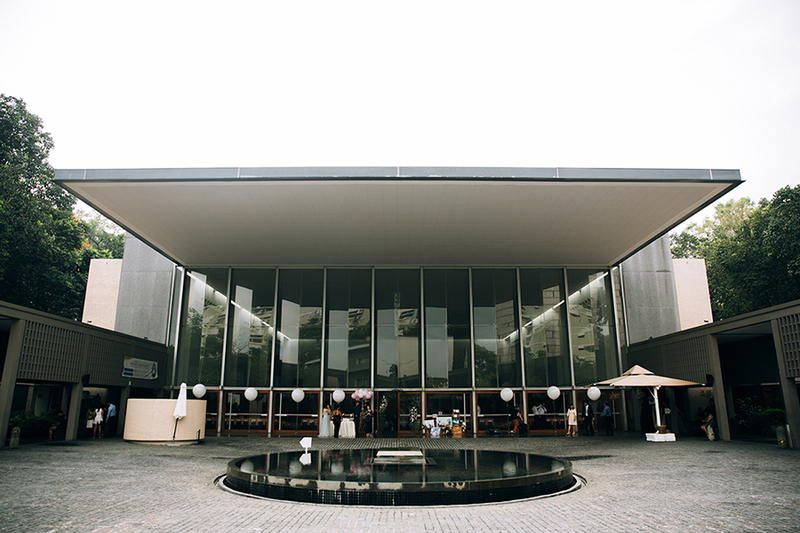 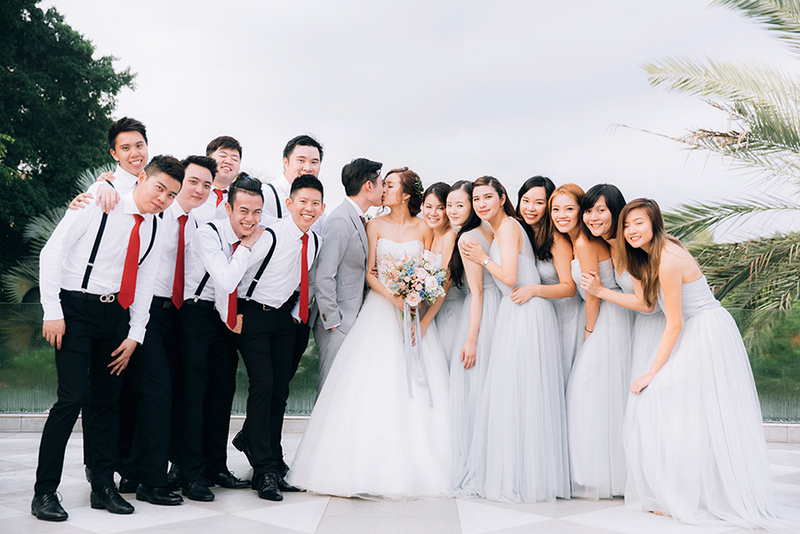 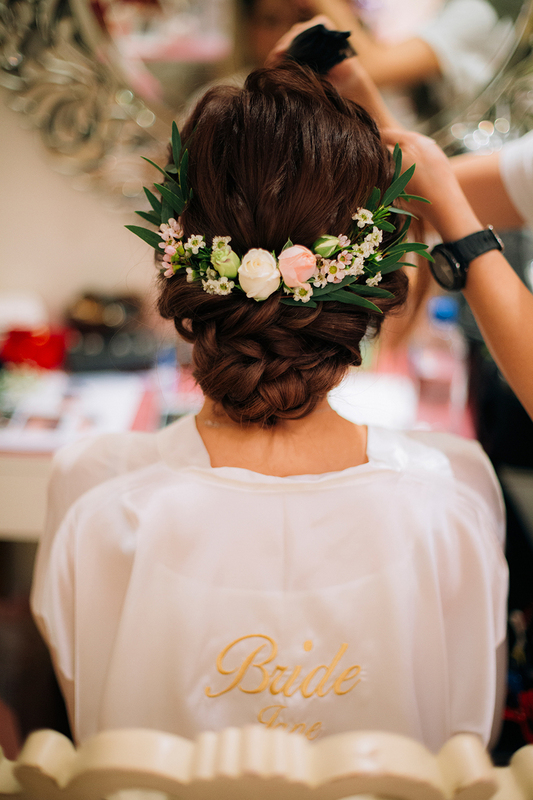 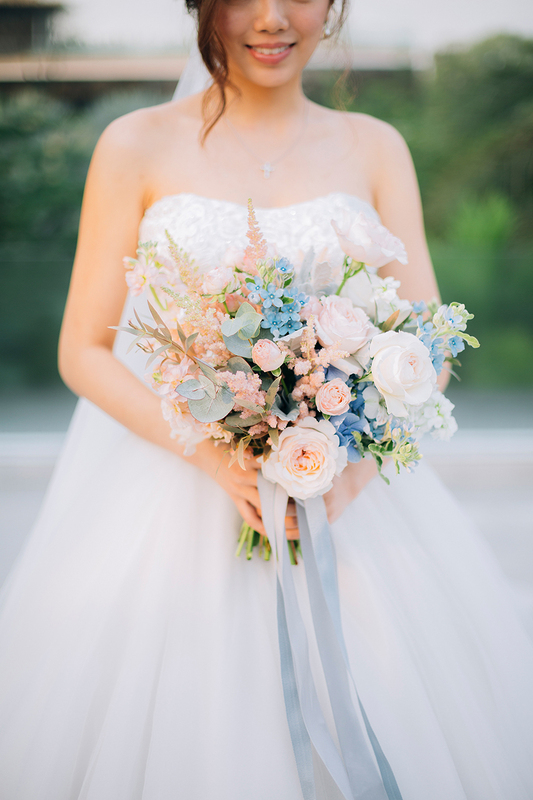 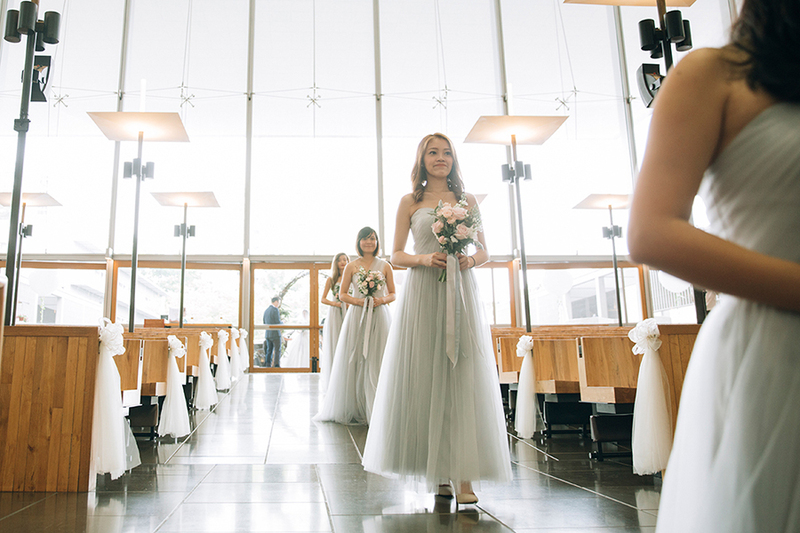 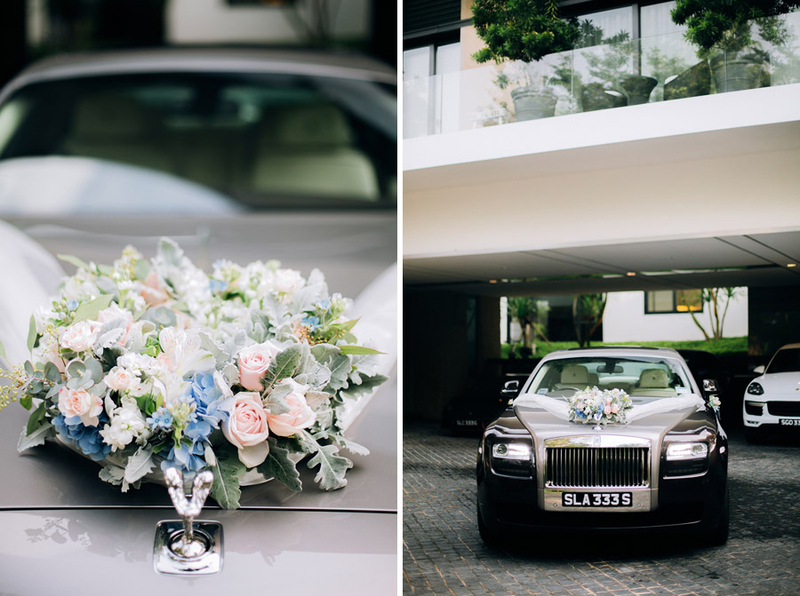 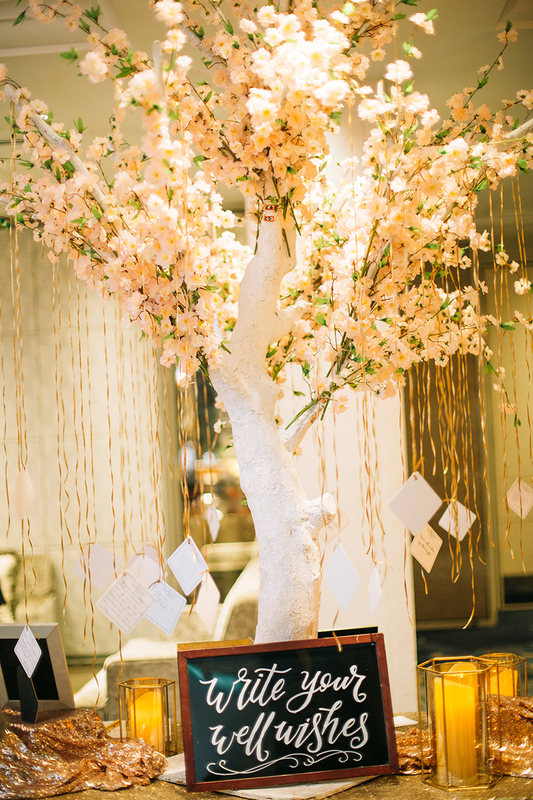 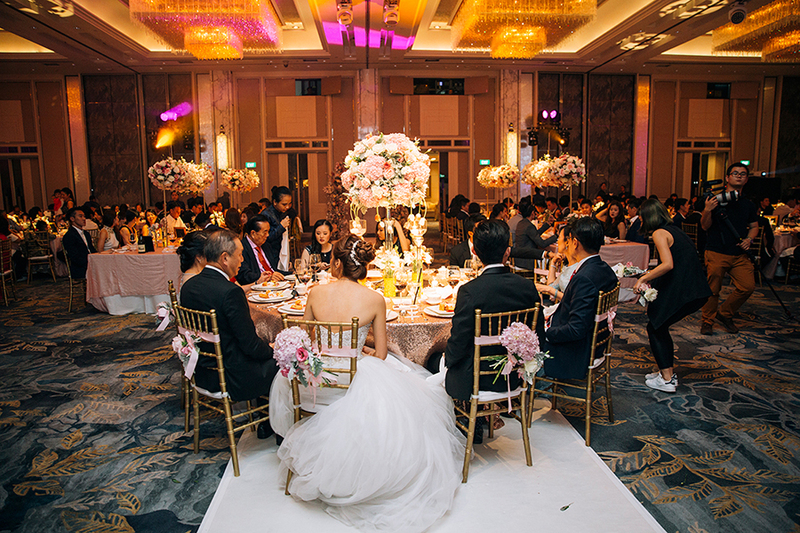 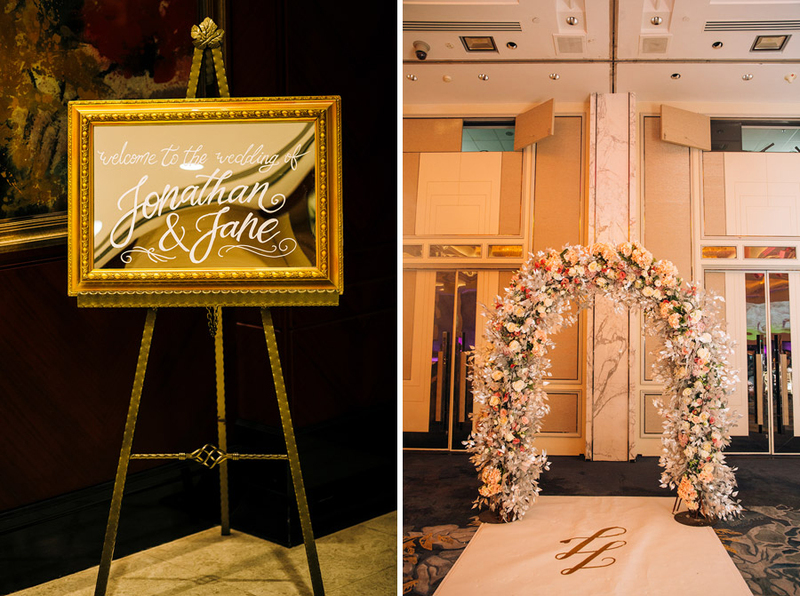 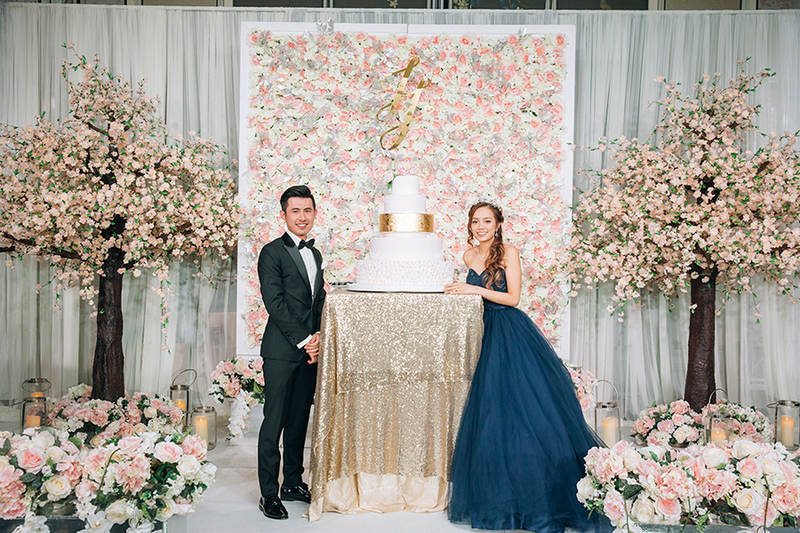 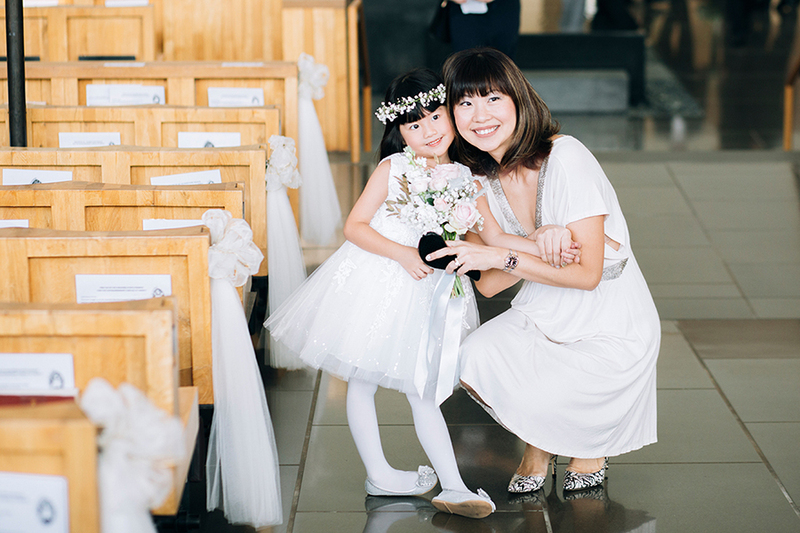 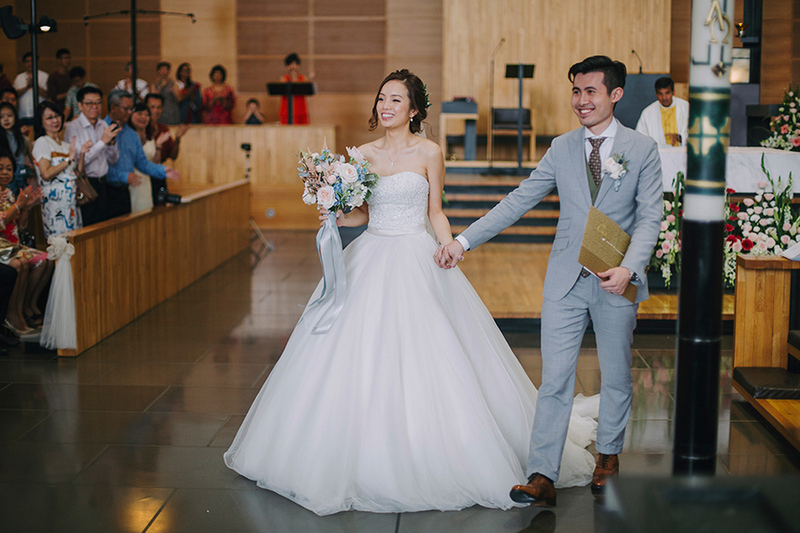 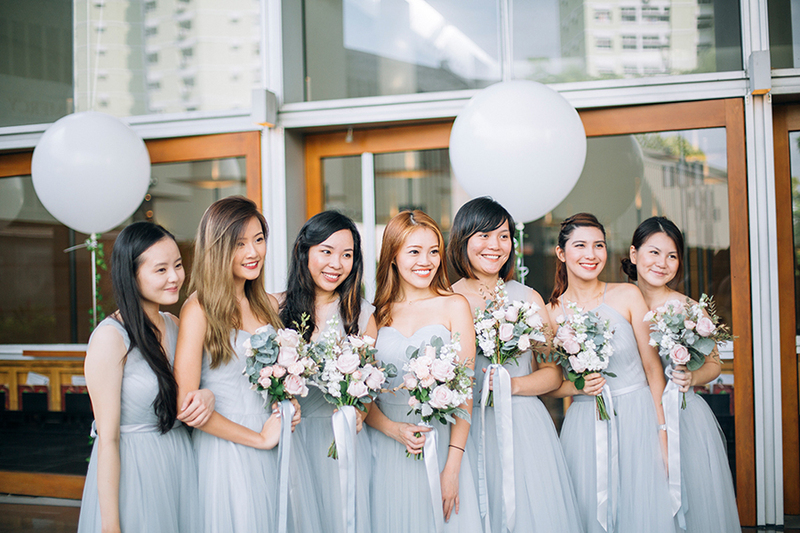 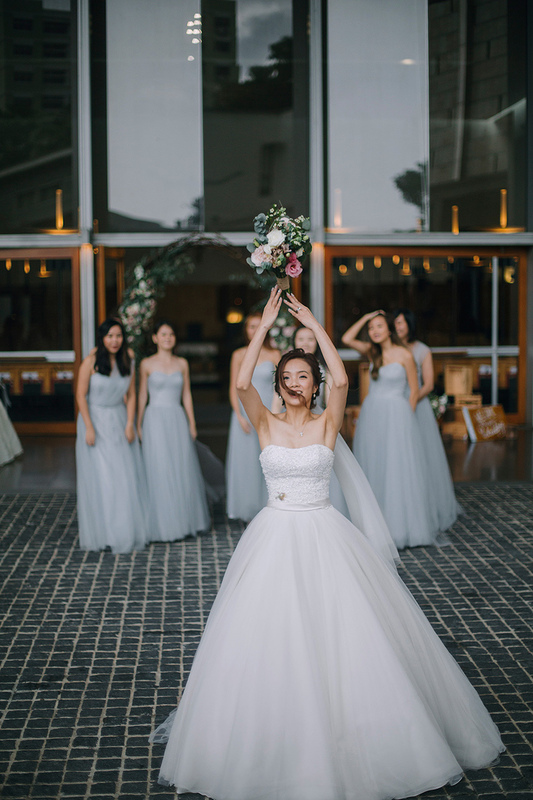 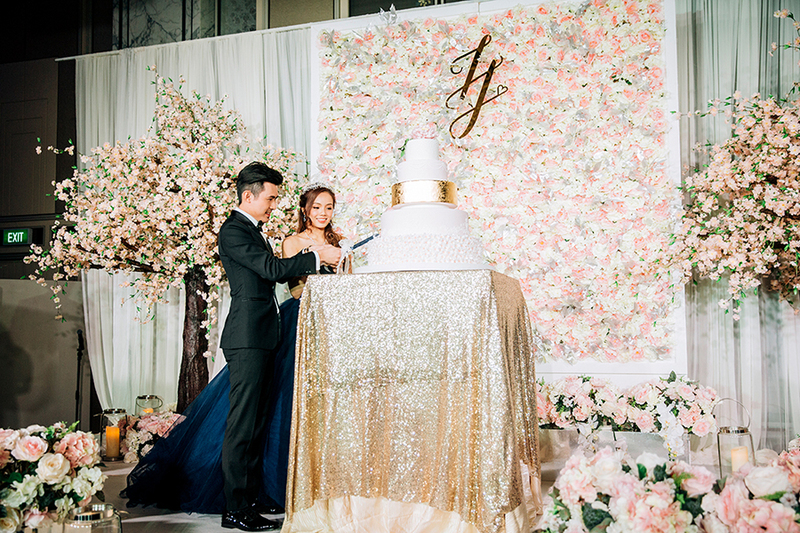 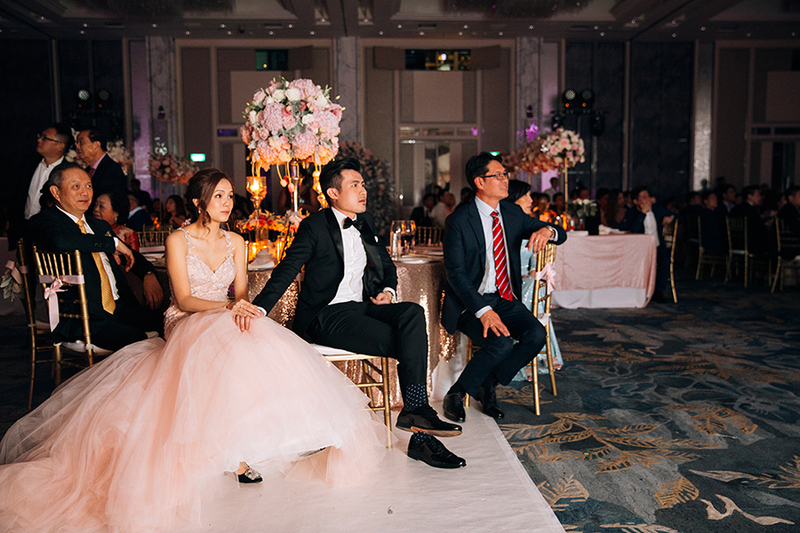 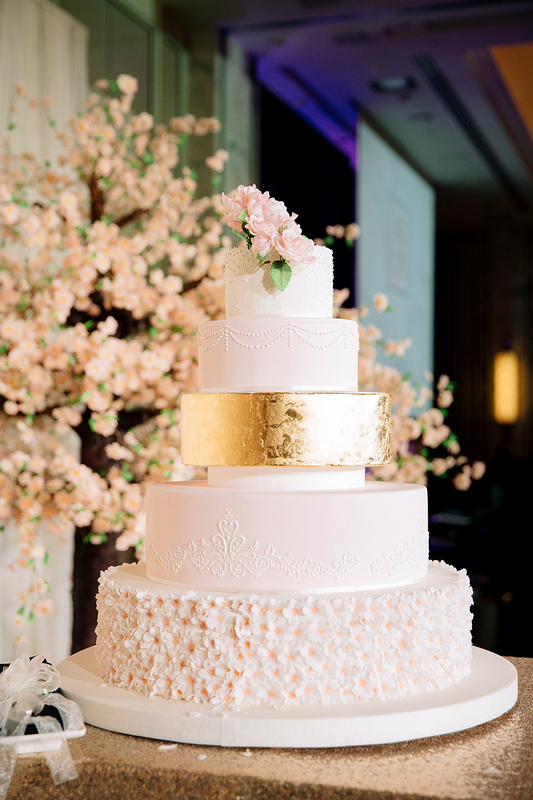 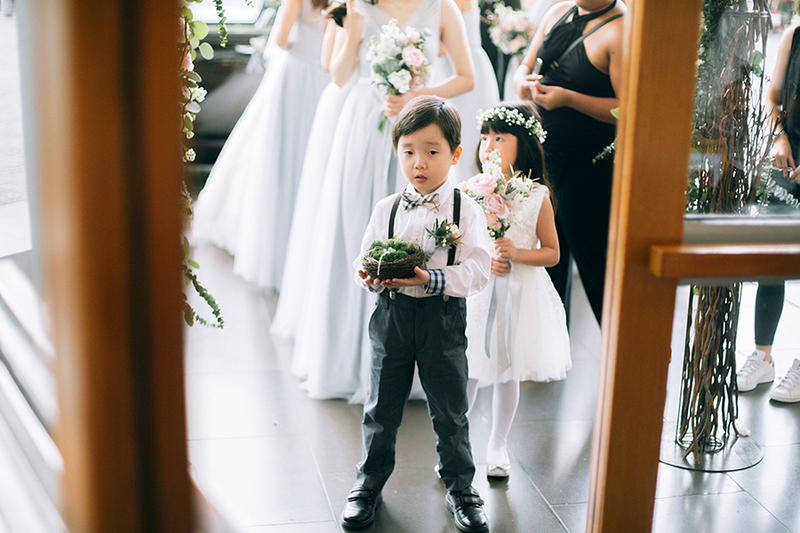 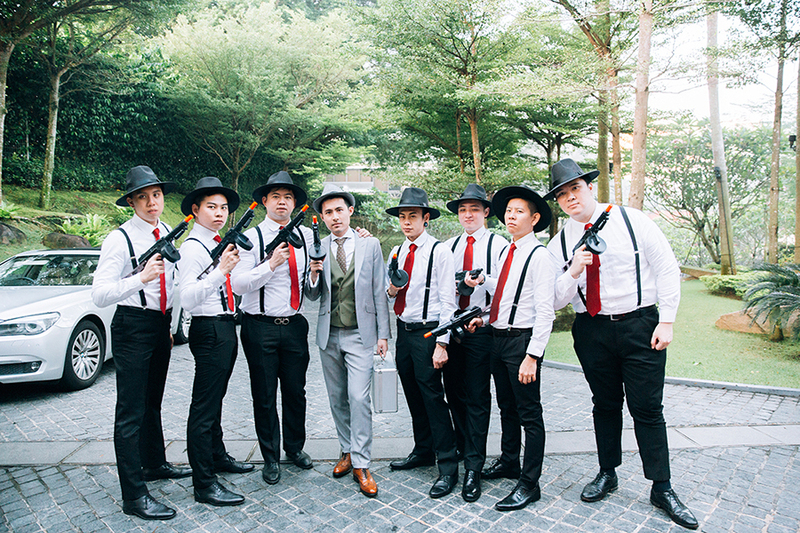 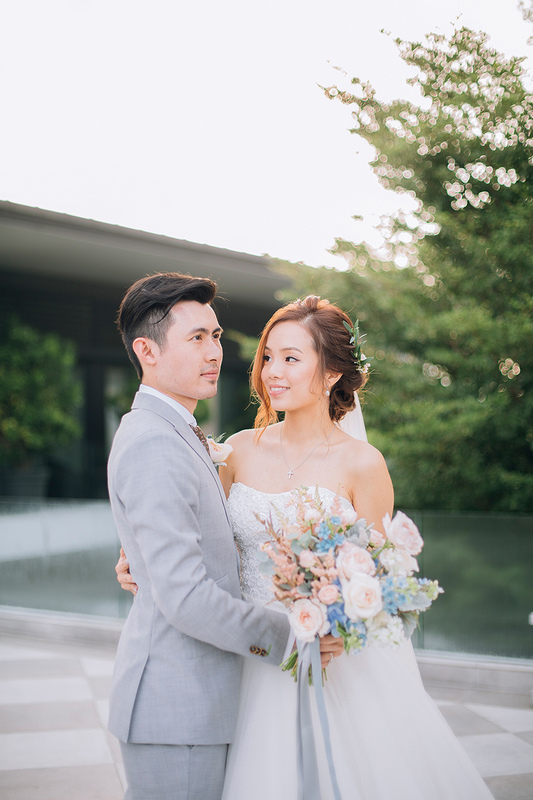 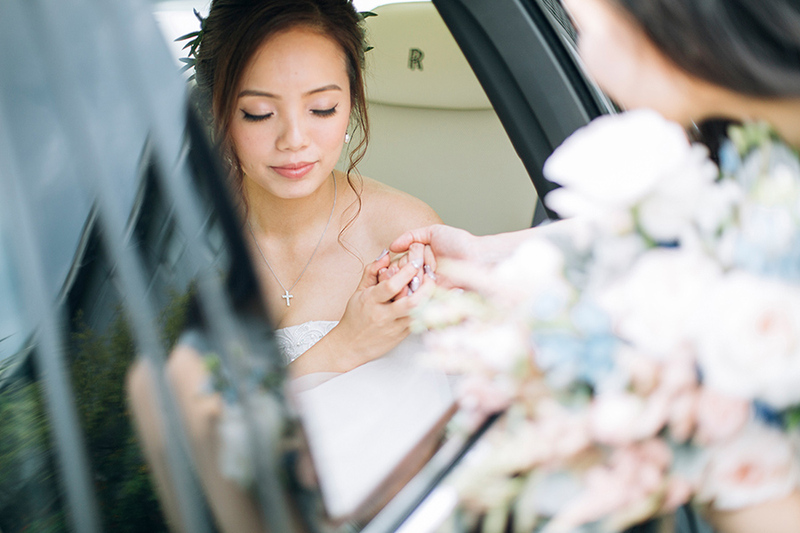 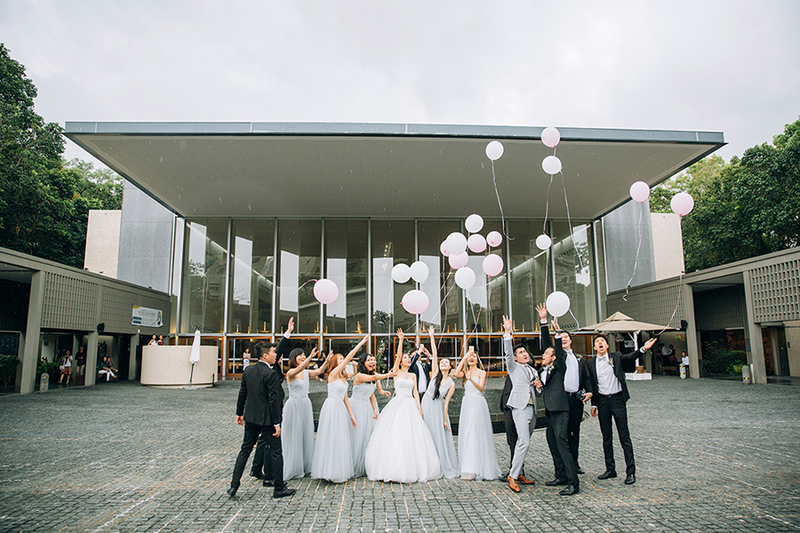 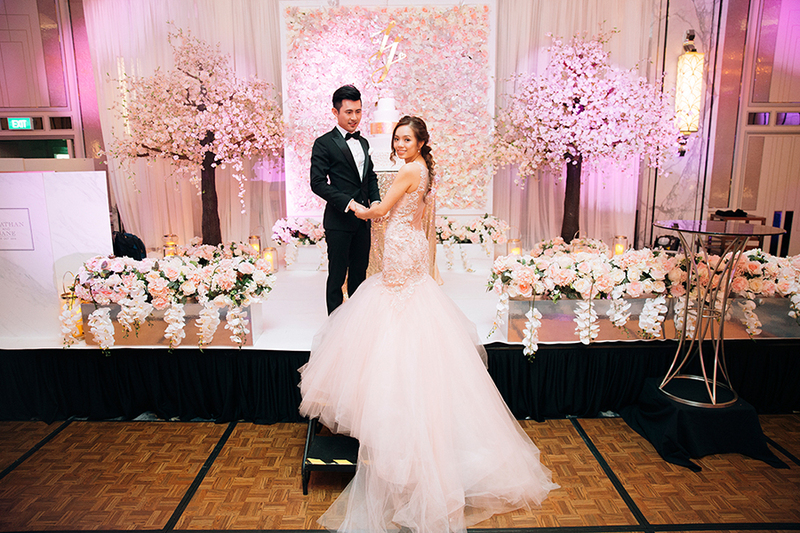 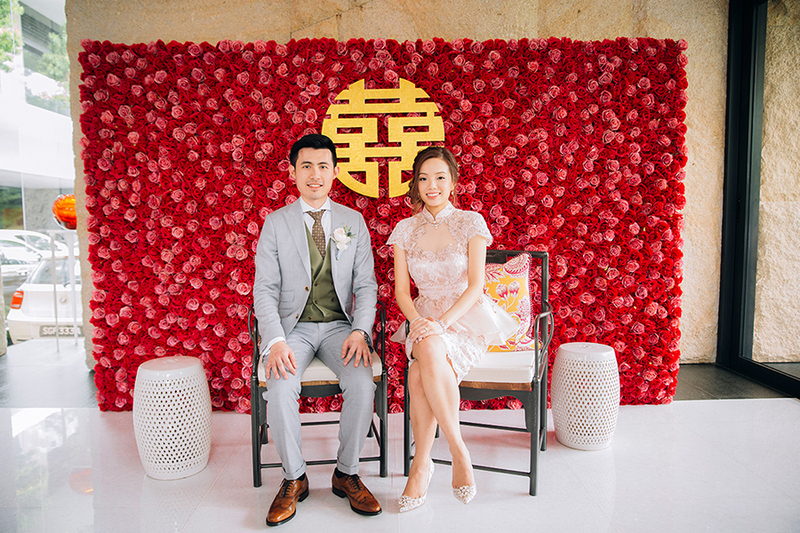 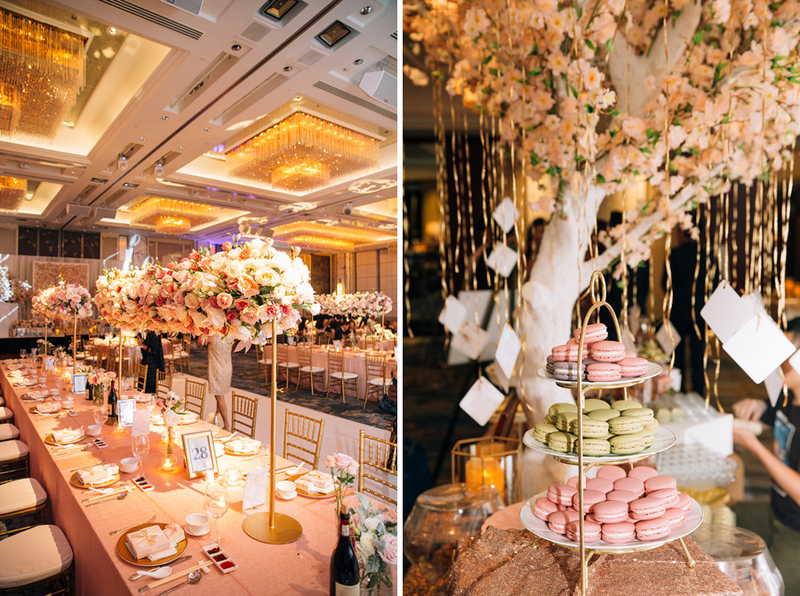 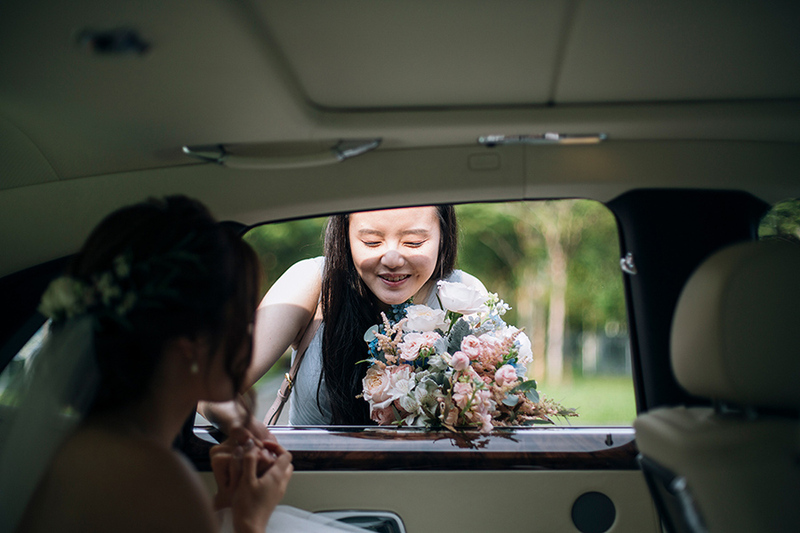 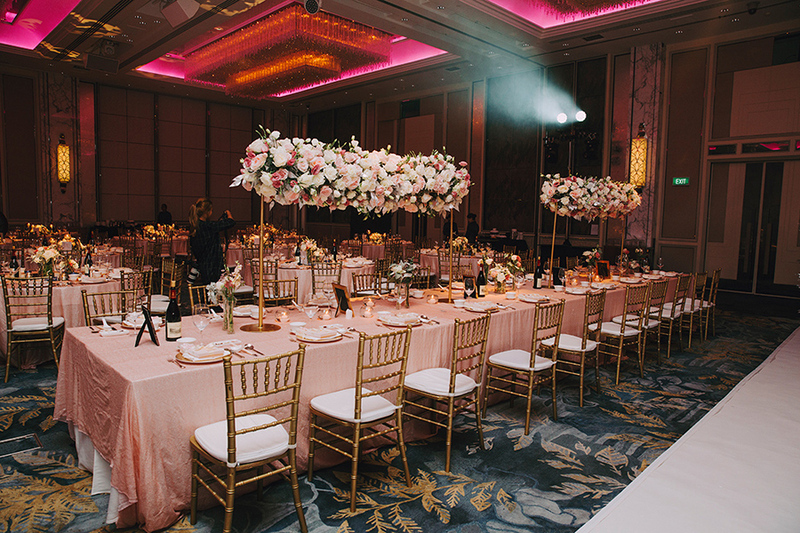 Jonathan and Jane’s cherry blossom-filled wedding at Shangri-La Hotel Singapore was the perfect theme to describe their love, which blossomed in Japan. 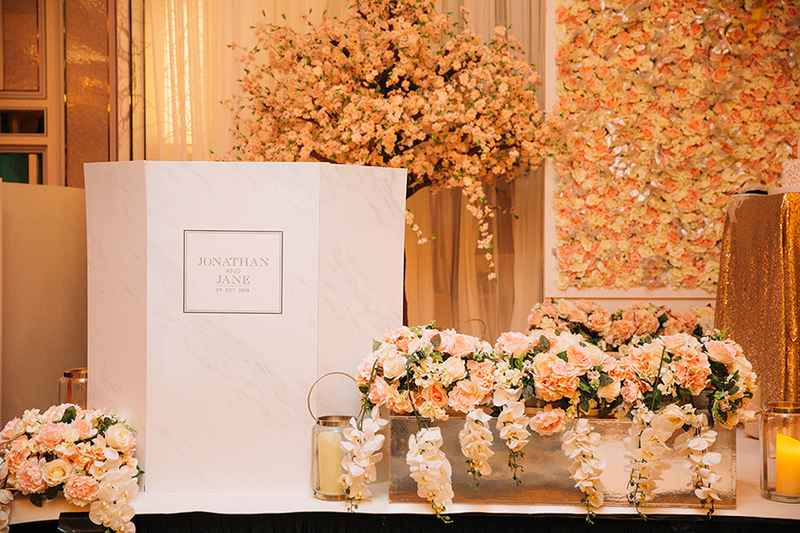 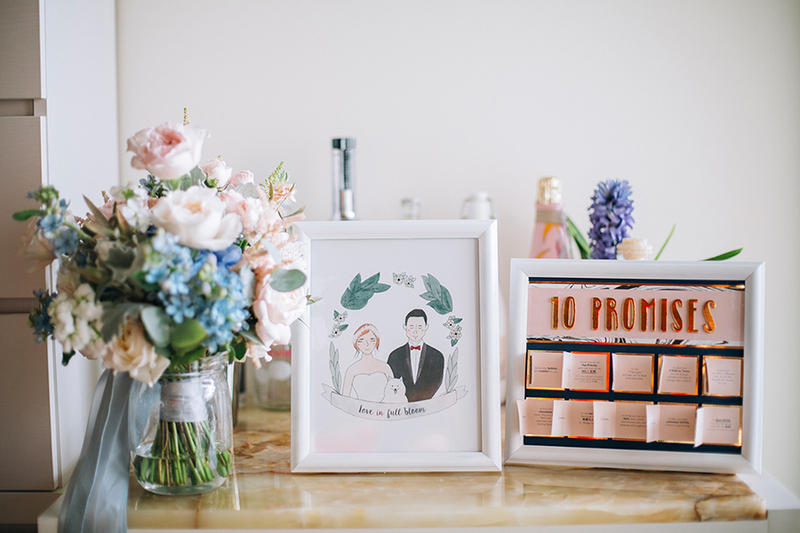 Styled by Inside The Knot and photographed by Androidsinboots, this romantic affair with its white marble surfaces, blush and navy palette with gold accents, and florals galore, shows how to bring your cherry blossom fantasies to life indoors. 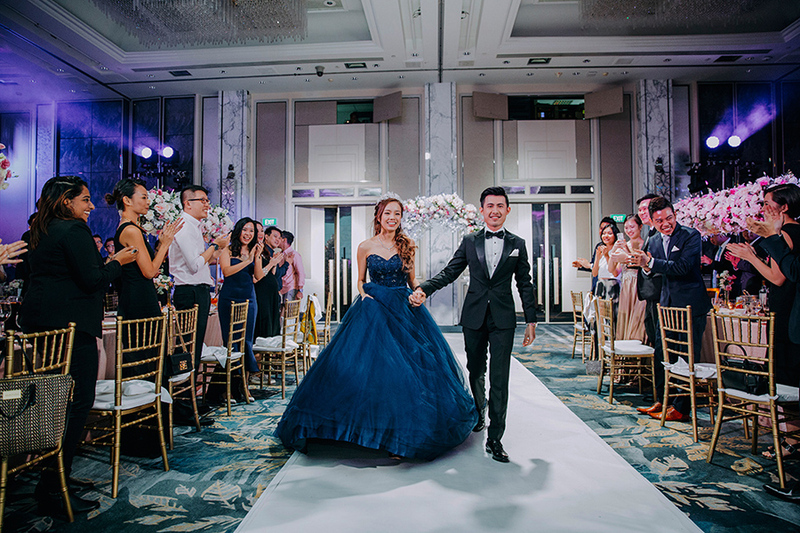 The couple also used their wedding to give back to society and ordered wedding favours made by persons with special needs from our adopted charity the Movement for the Intellectually Disabled of Singapore (MINDS). 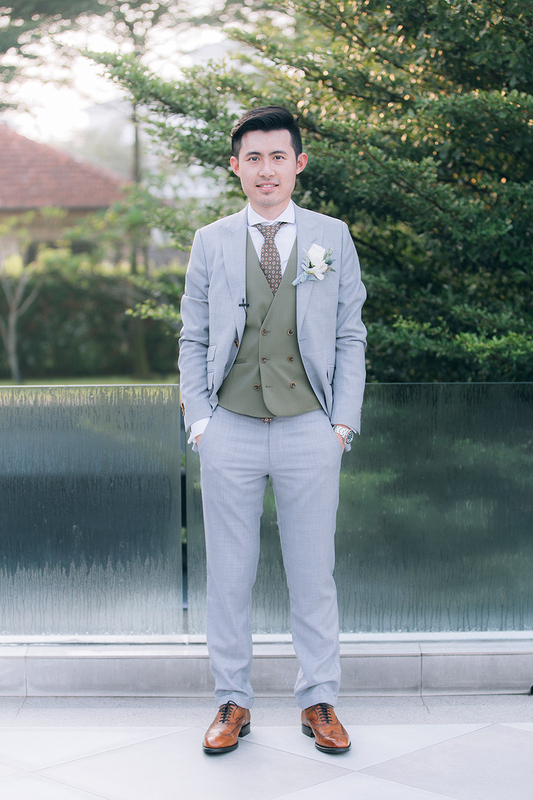 What was your theme/style/color palette? 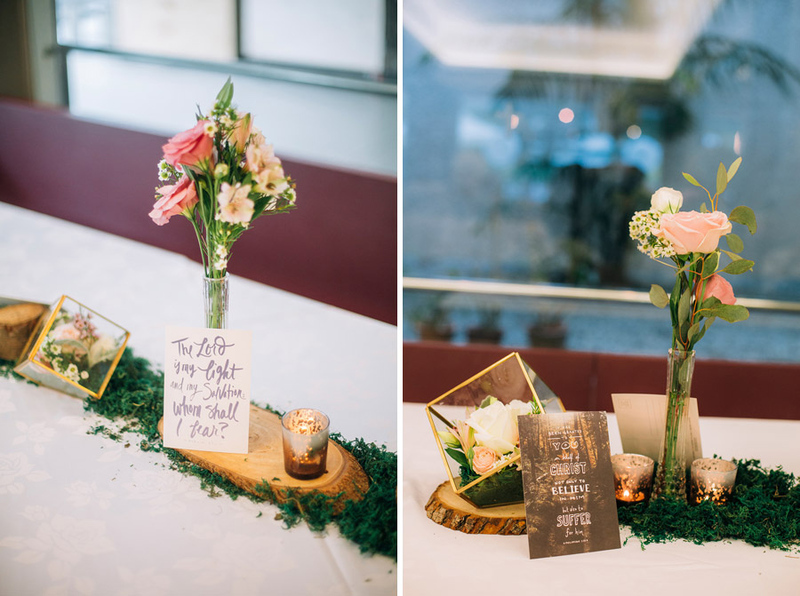 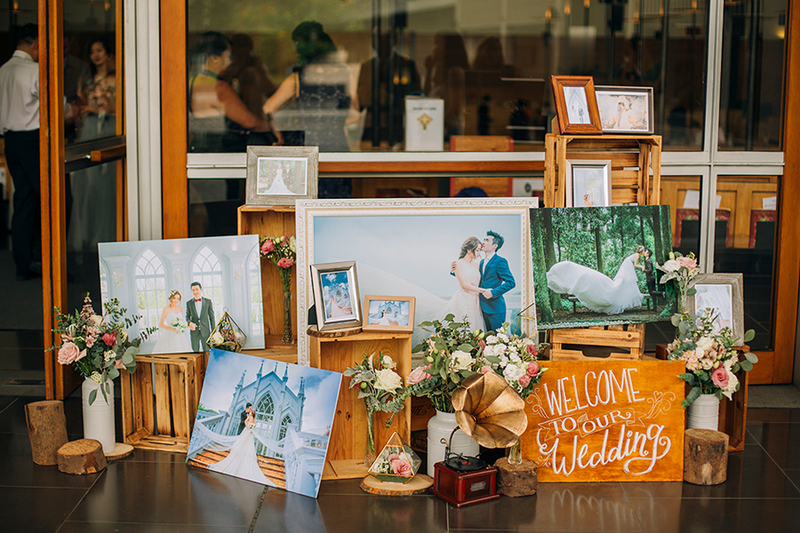 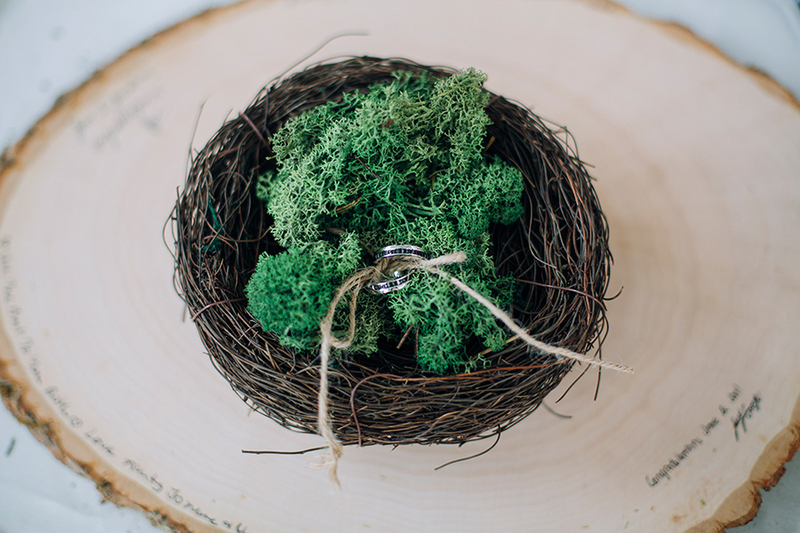 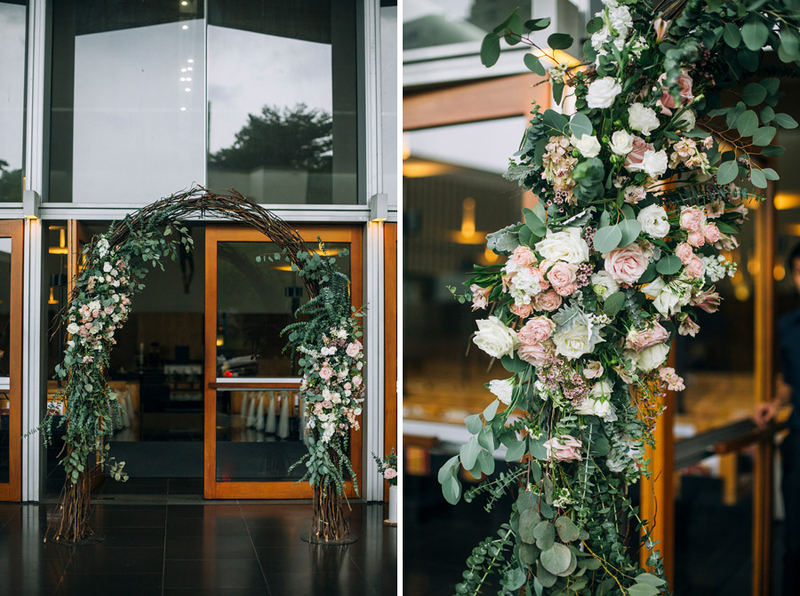 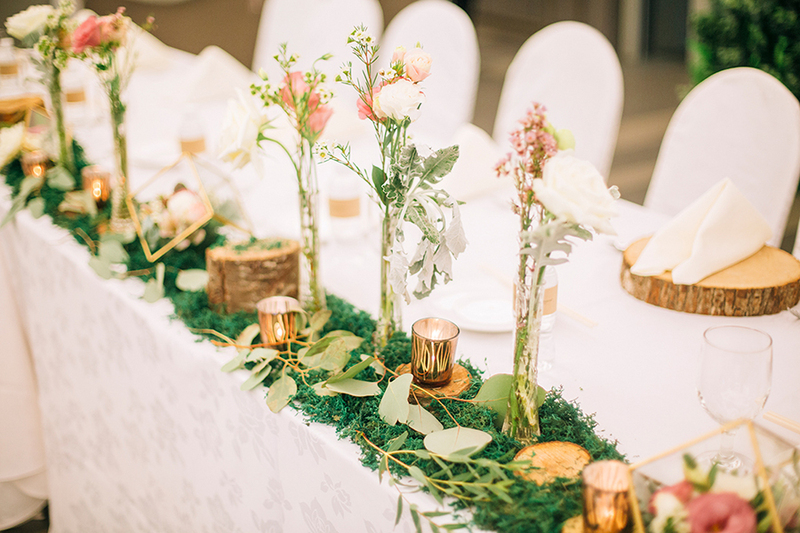 “For our church ceremony, we wanted a cosy and rustic feel, so we decided on a woodlands/garden theme with lots of wood textures, pastel colored florals, plants, moss etc. 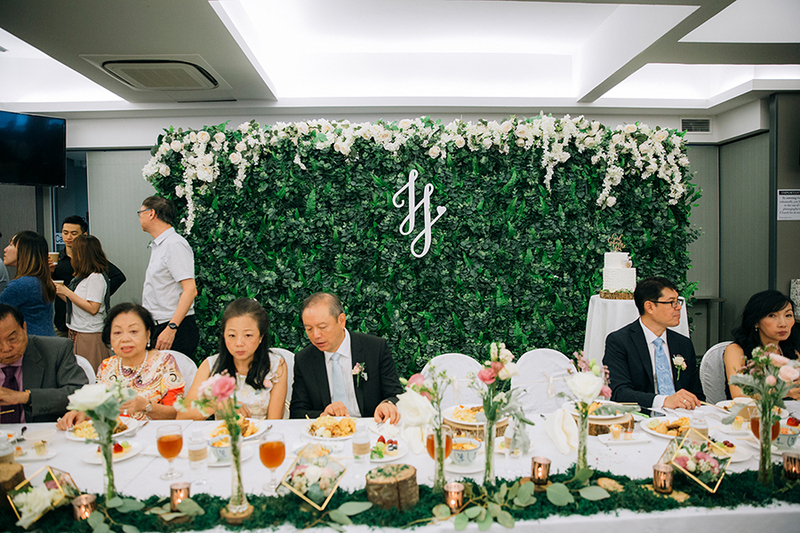 We had a huge plant wall as a backdrop in the reception area and it really transformed the canteen. 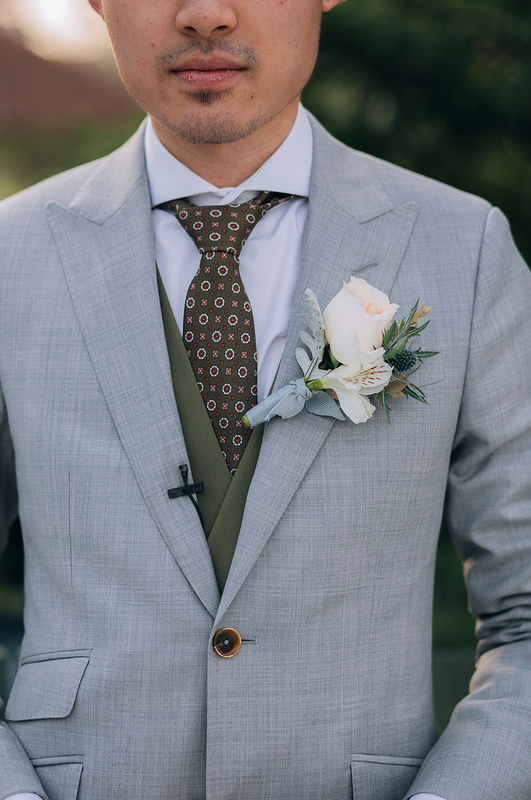 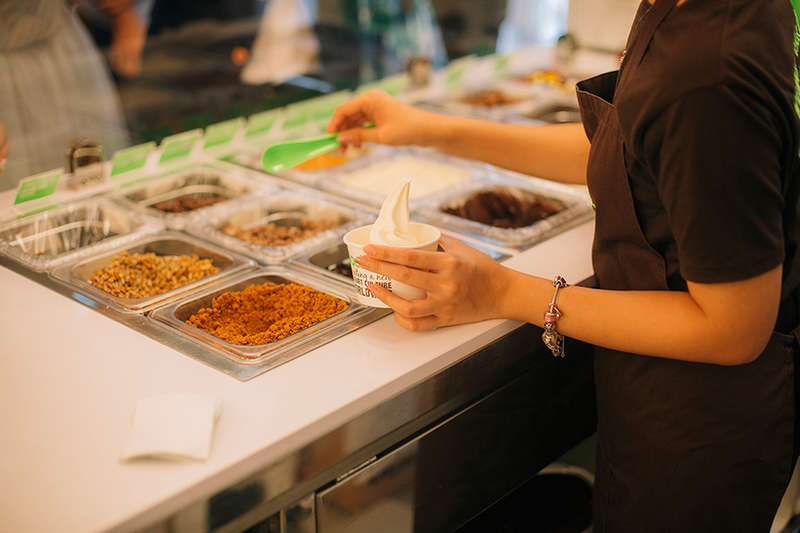 Most of the colours were light and neutral with lots of browns and greens. 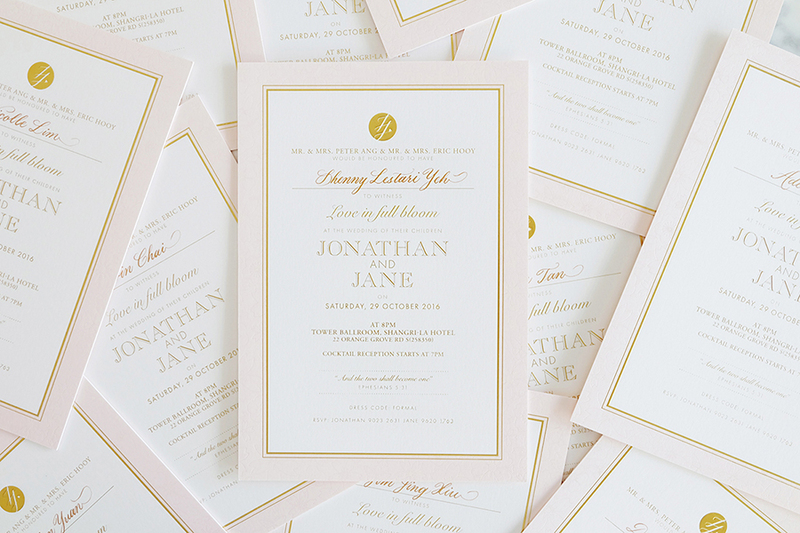 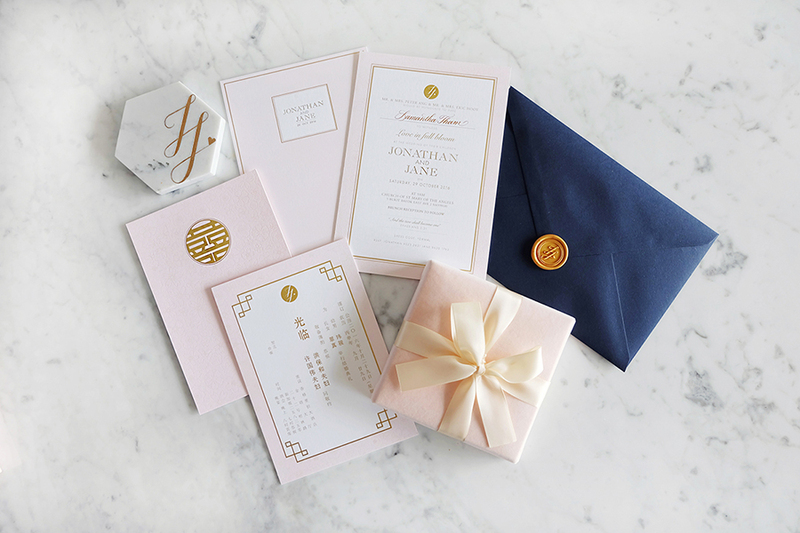 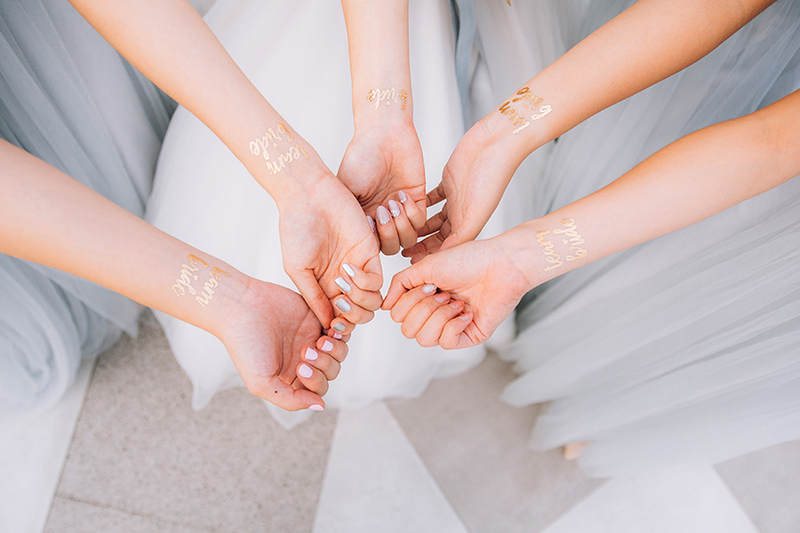 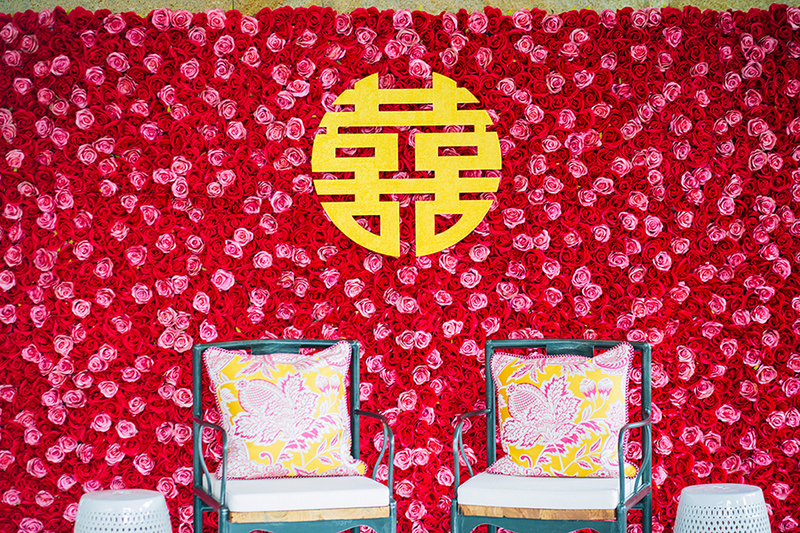 Instead of traditional red for our tea ceremony, we decided to use different shades of bright pink together with a gold die cut “囍” to give a more modern appearance. 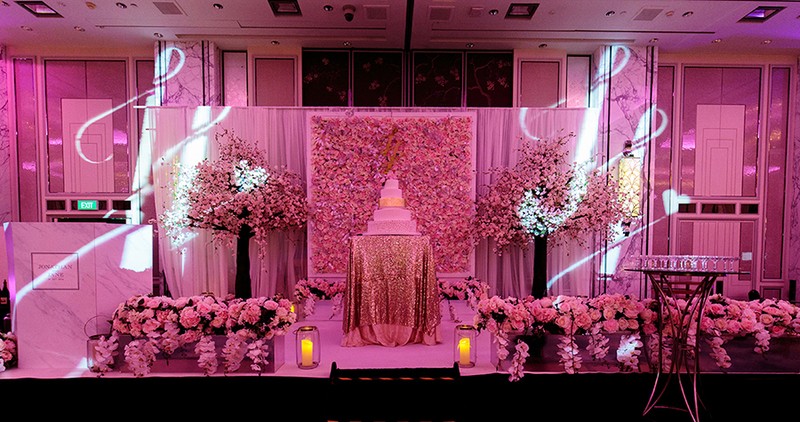 We decided on “sakura” as our main theme because it commemorates the beautiful season when we first got together in Japan. 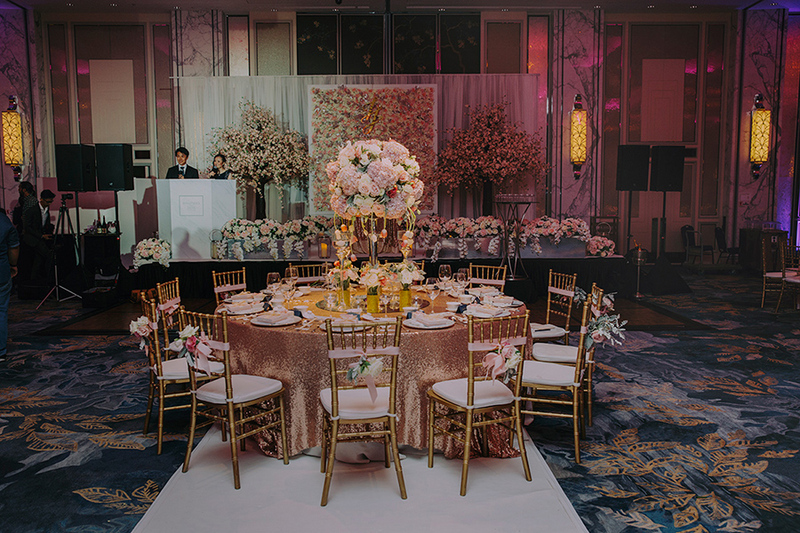 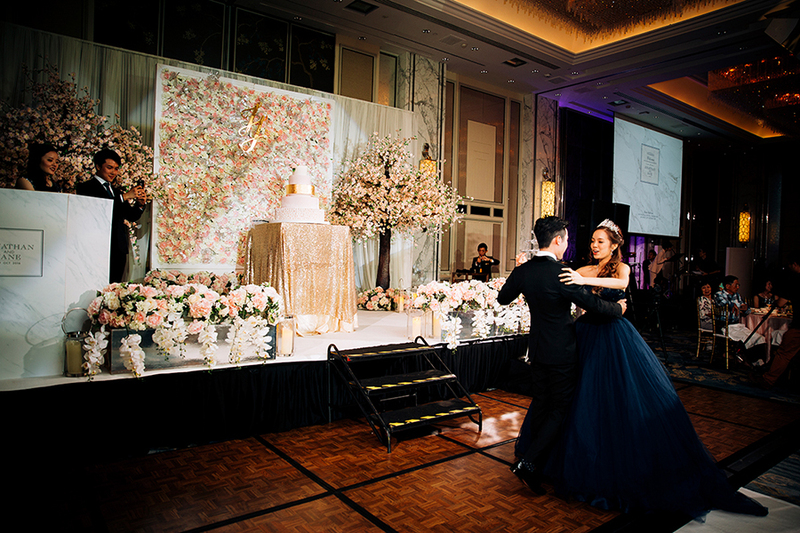 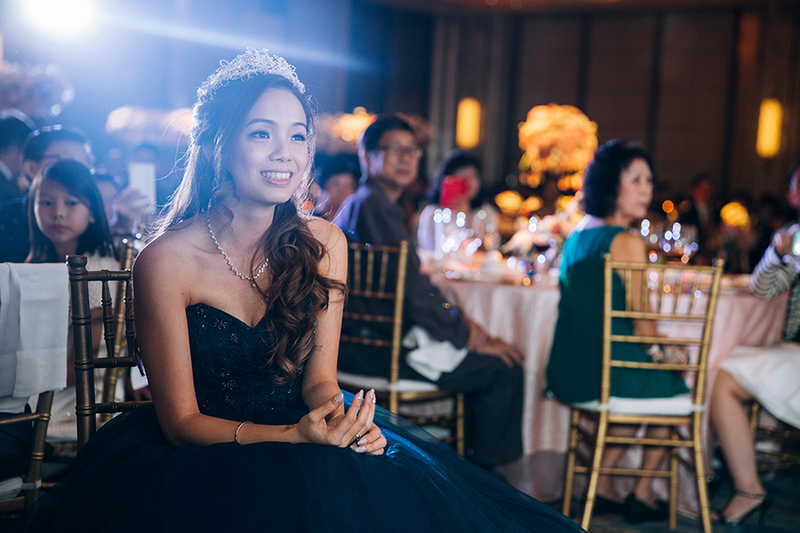 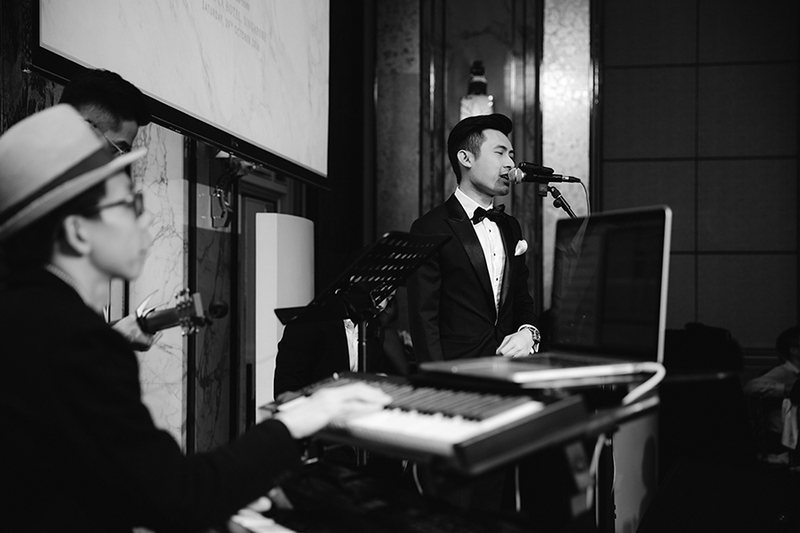 We wanted to have a classy and grand wedding and the newly renovated Tower Ballroom at Shangri-La was exactly the type of ballroom that we were looking for. 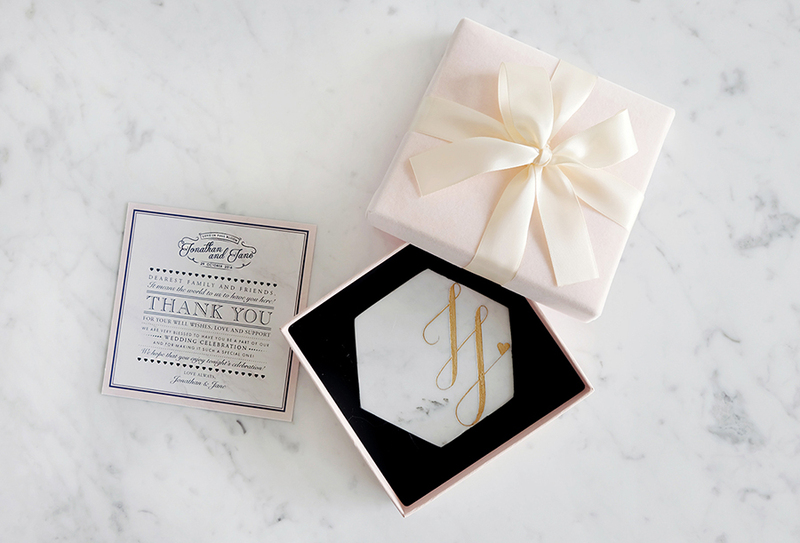 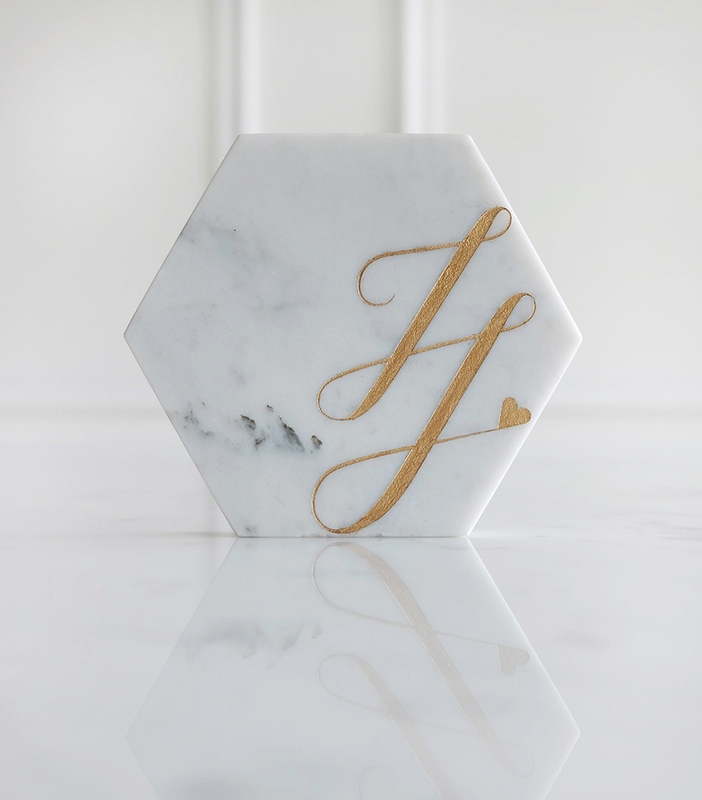 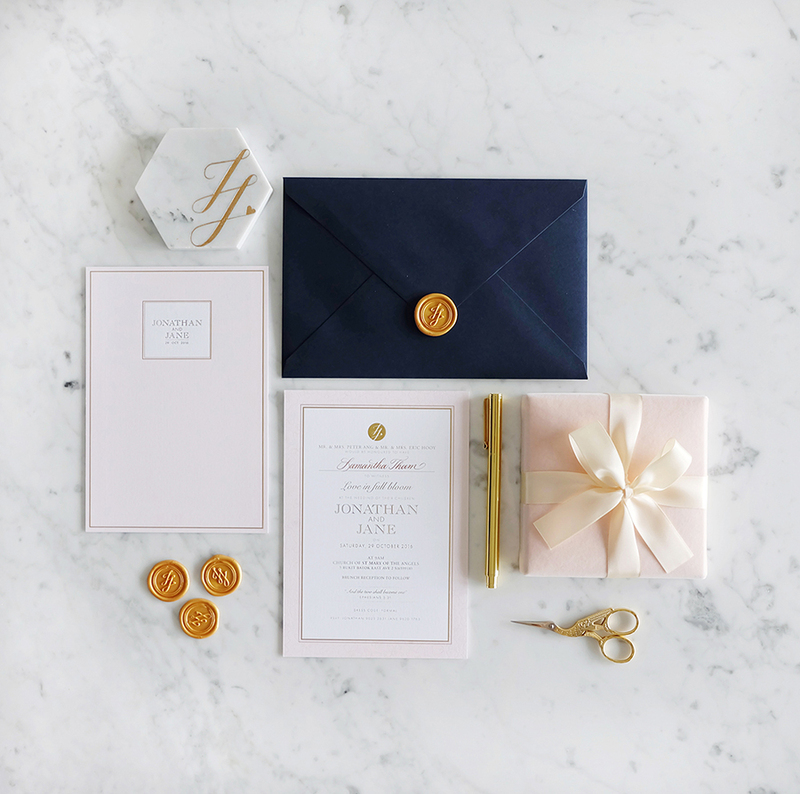 The white marble wall feature in the ballroom inspired Jane to design her marble coaster wedding favours and other wedding stationery. 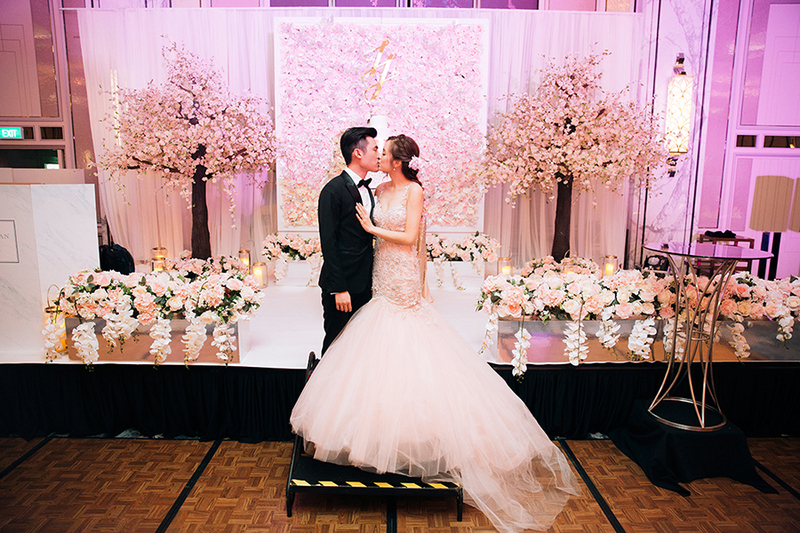 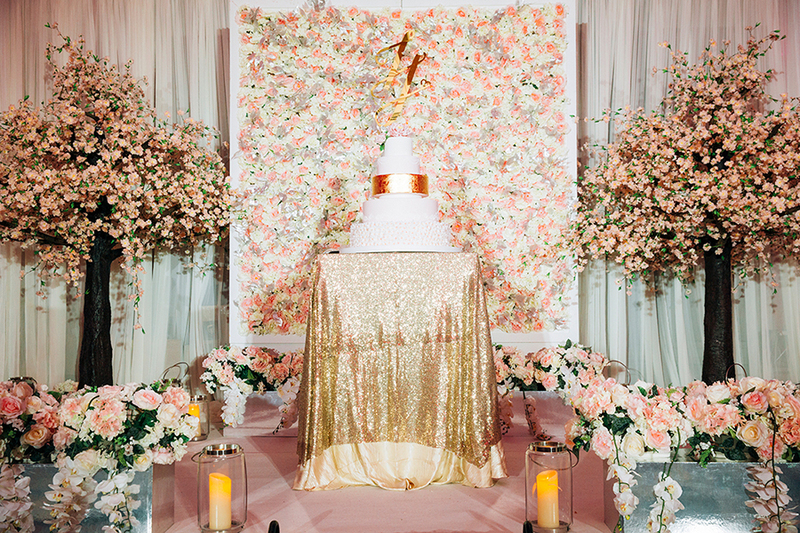 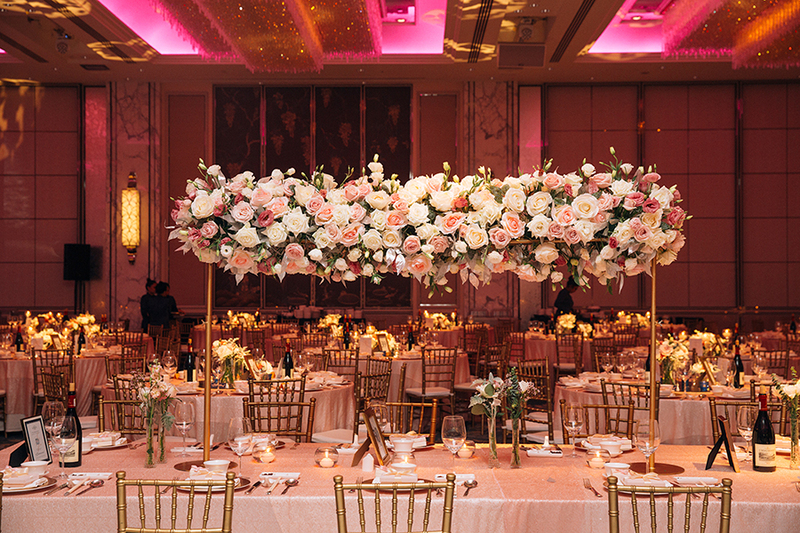 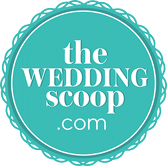 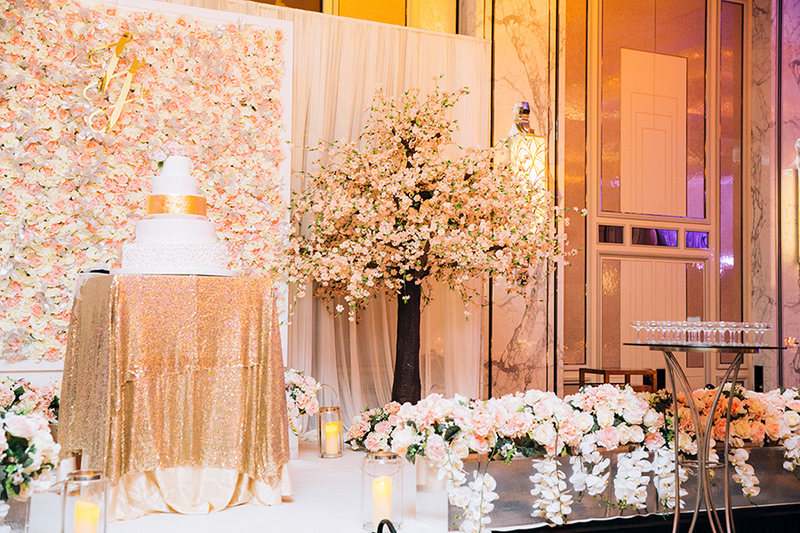 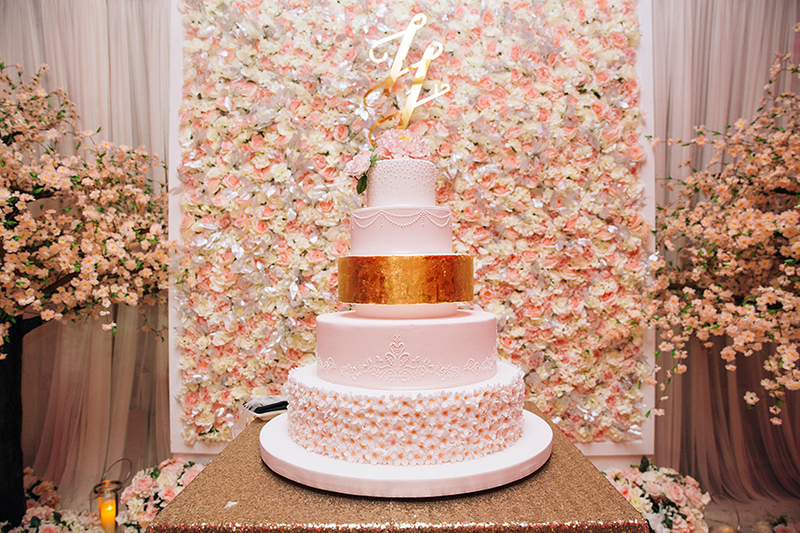 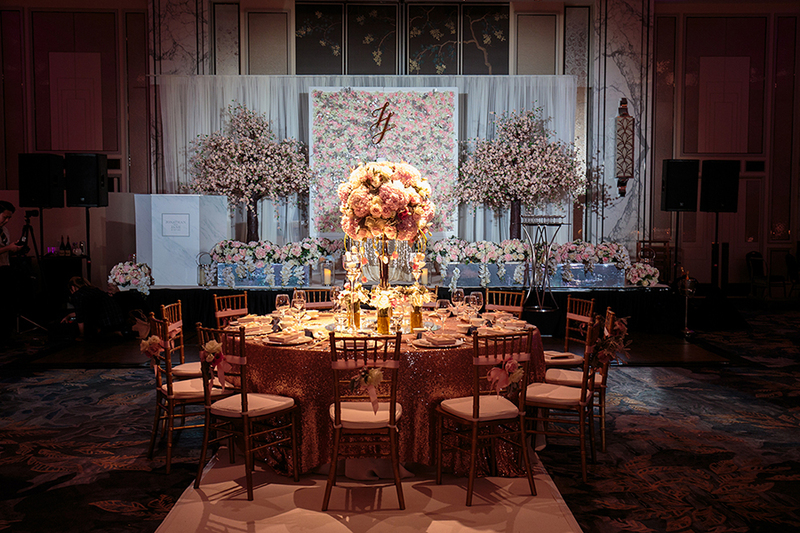 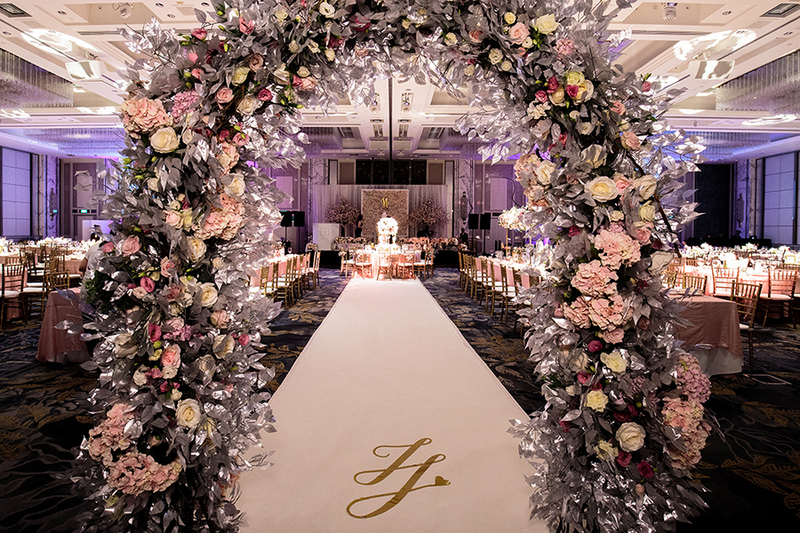 There was a strong emphasis on creating a luxe and romantic mood, and the team from Inside The Knot successfully transformed the ballroom with the use of cherry blossom trees, pink flowers, floral arches, candles, pink sequinned tablecloths, and ornaments. 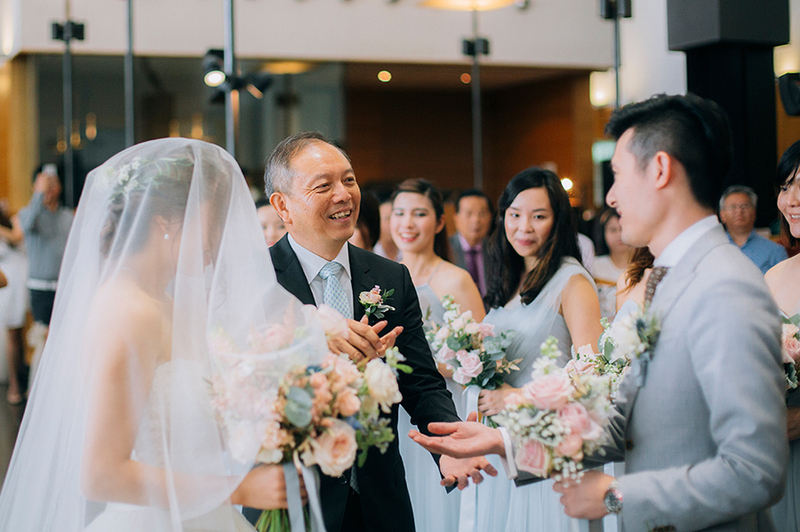 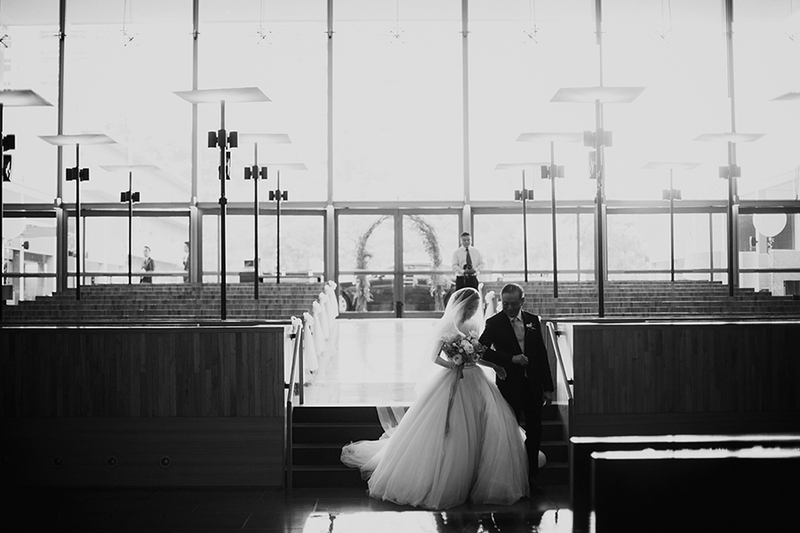 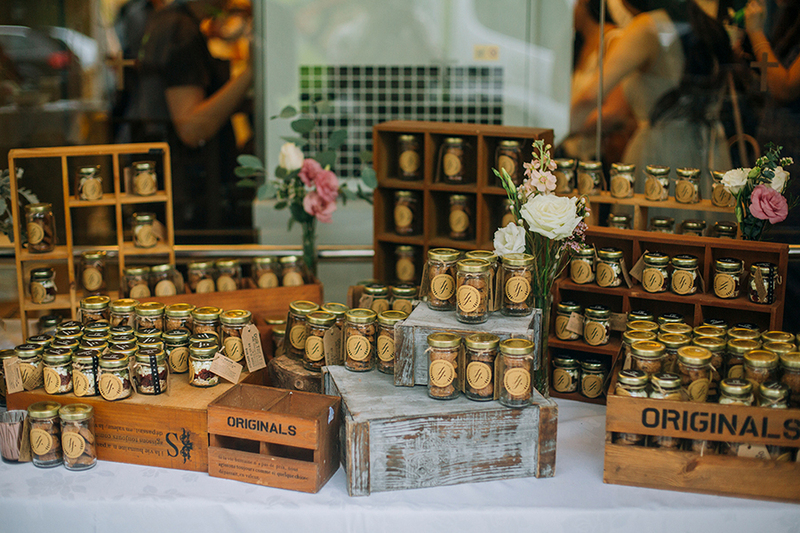 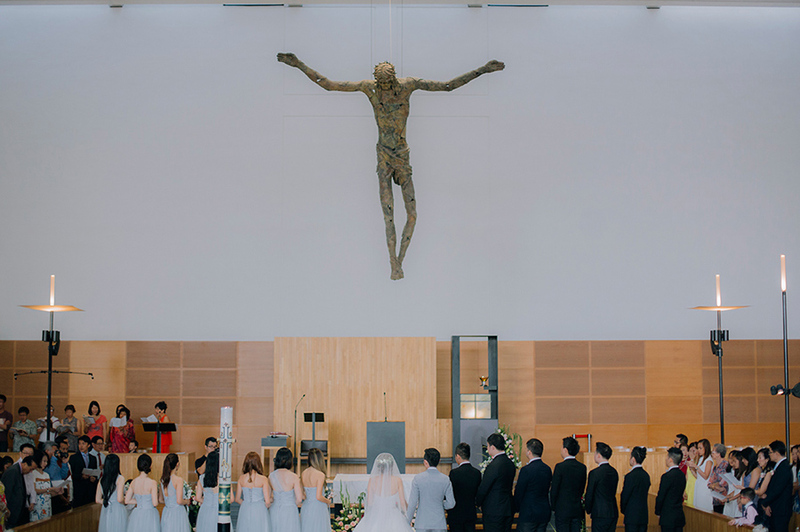 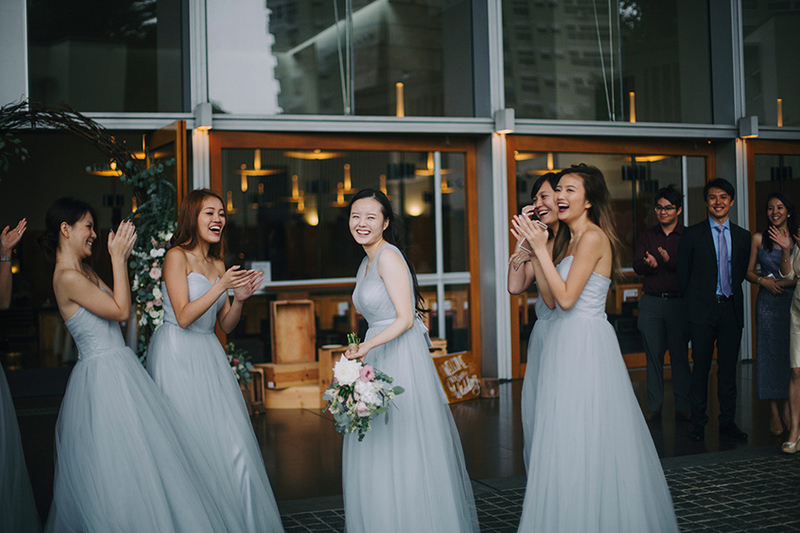 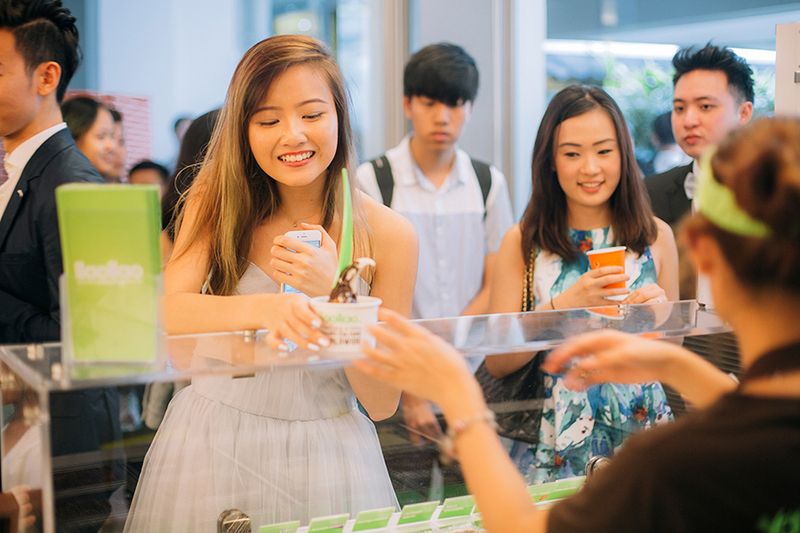 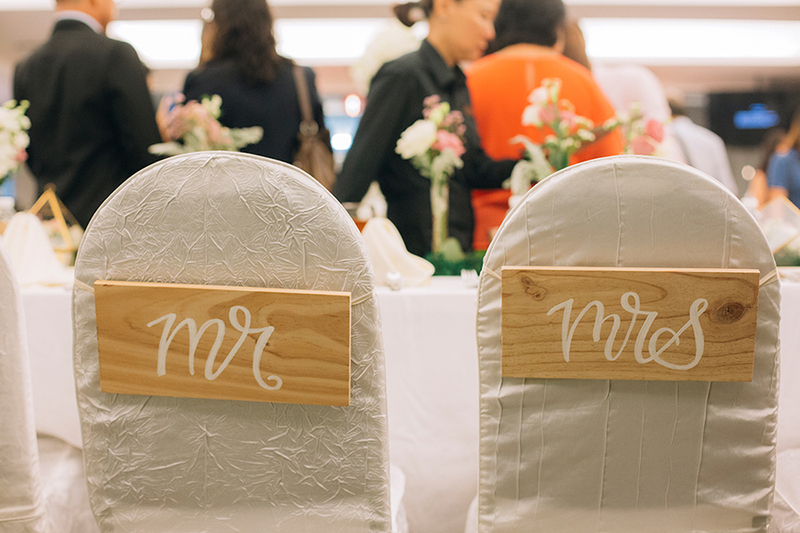 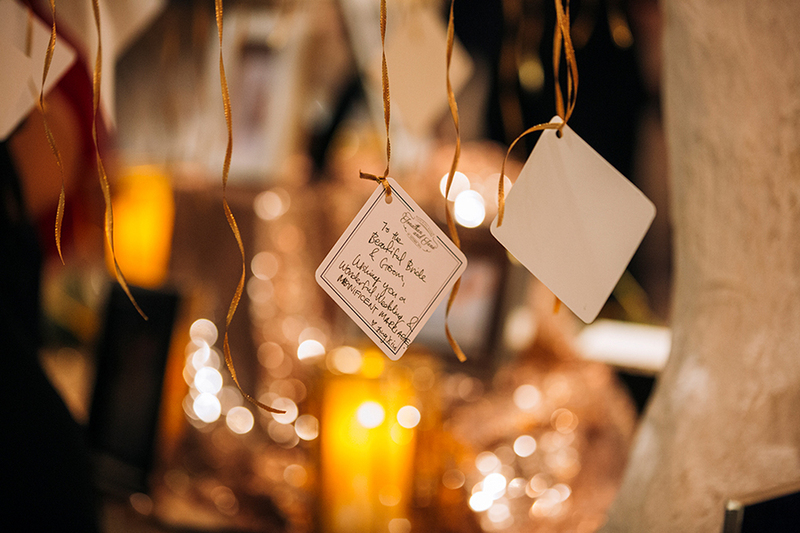 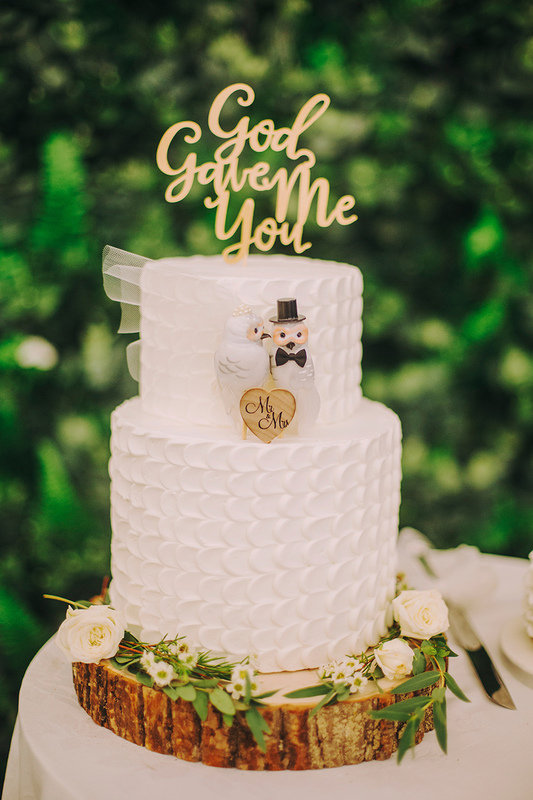 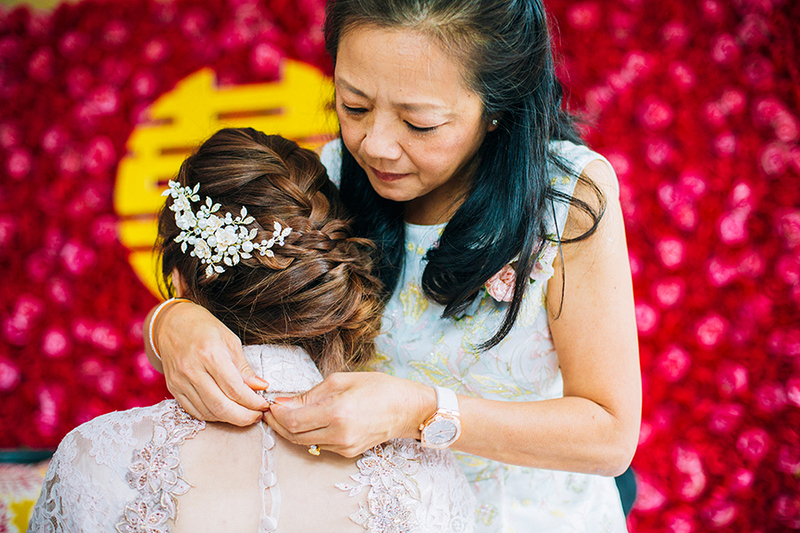 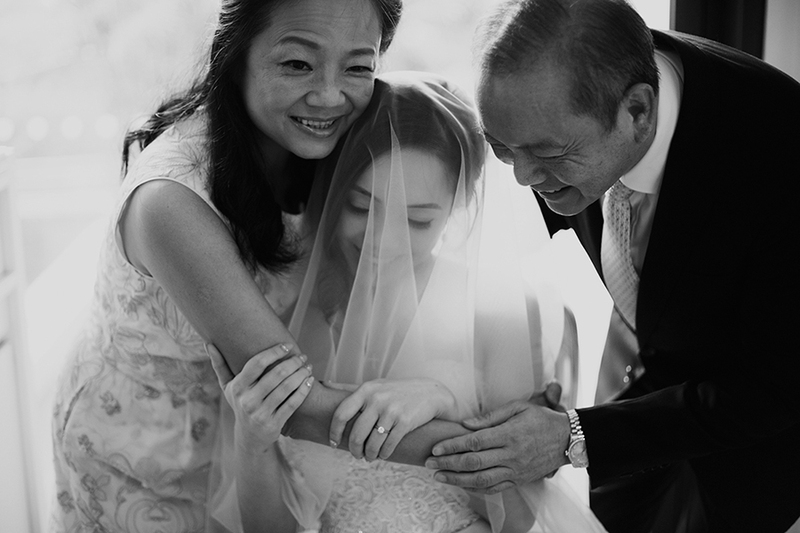 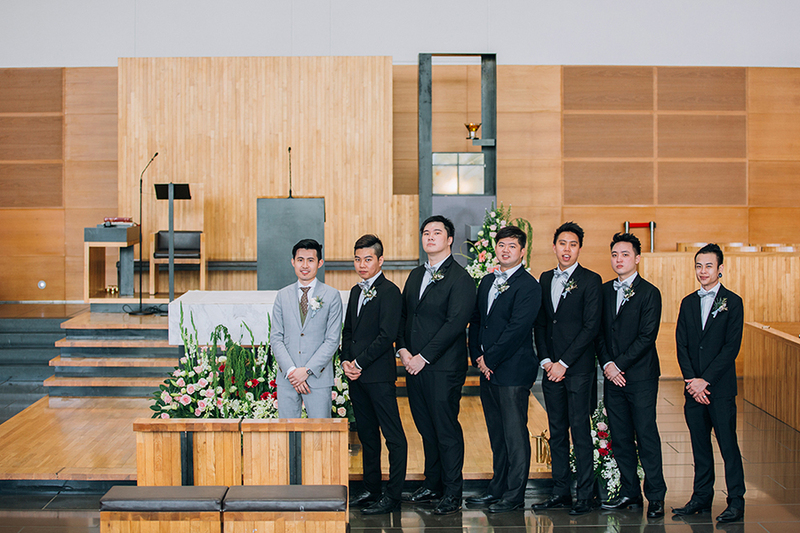 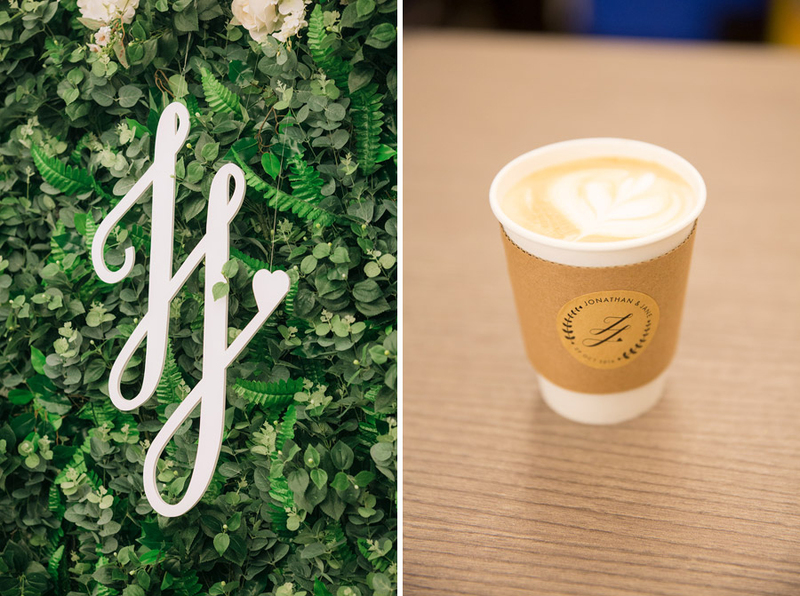 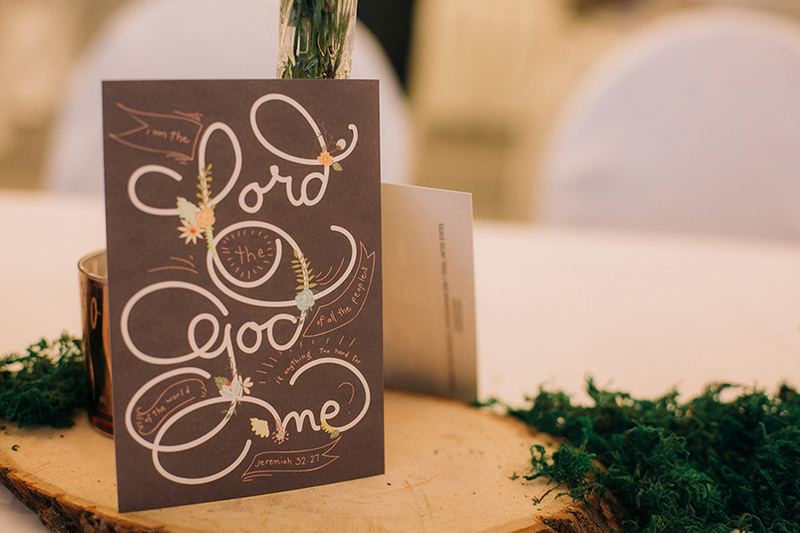 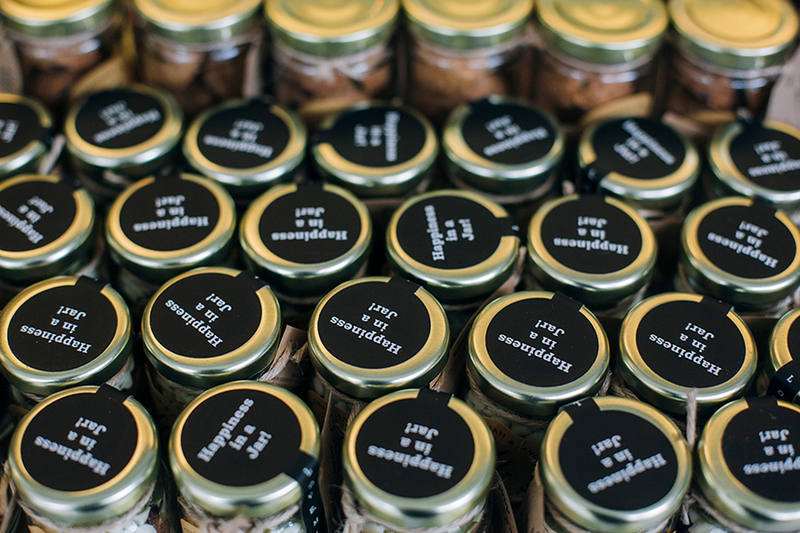 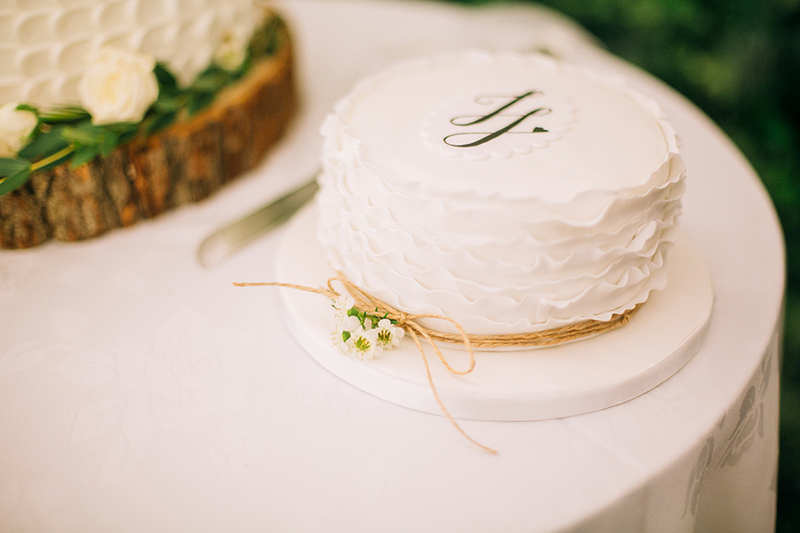 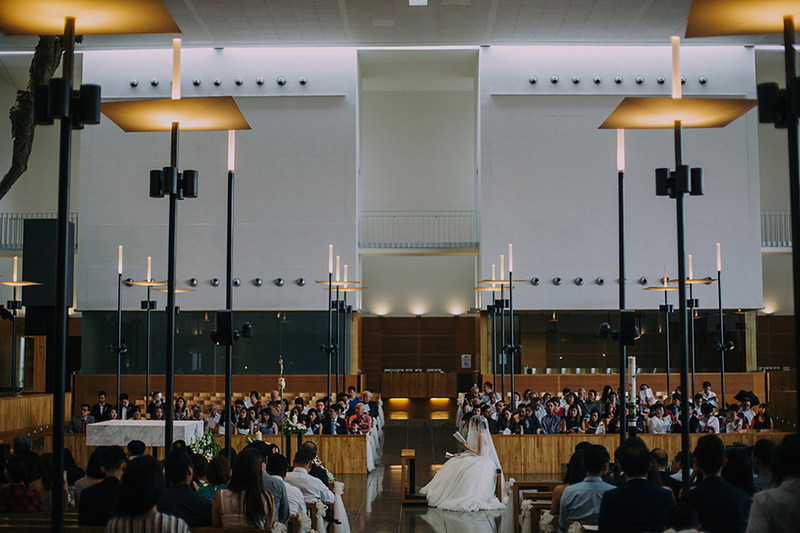 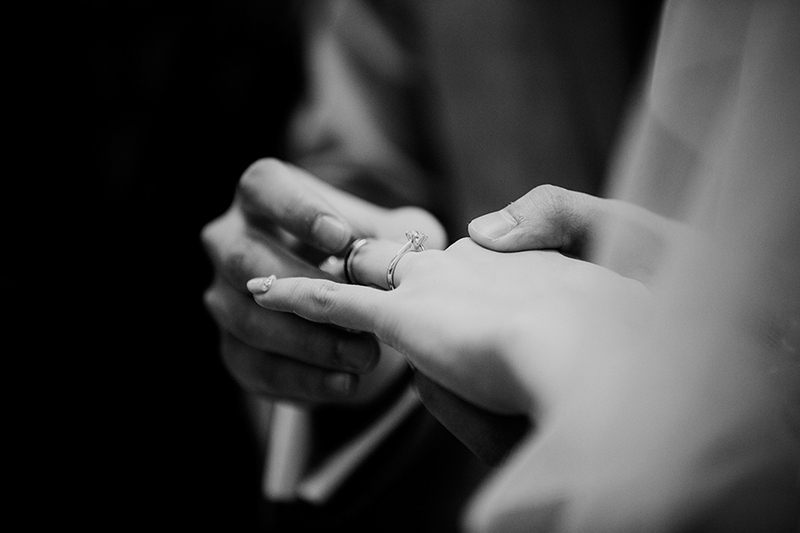 “We chose to order cookies from MINDS (The Movement for the Intellectually Disabled of Singapore) for our church wedding favour as it was a gift that was meaningful yet edible. 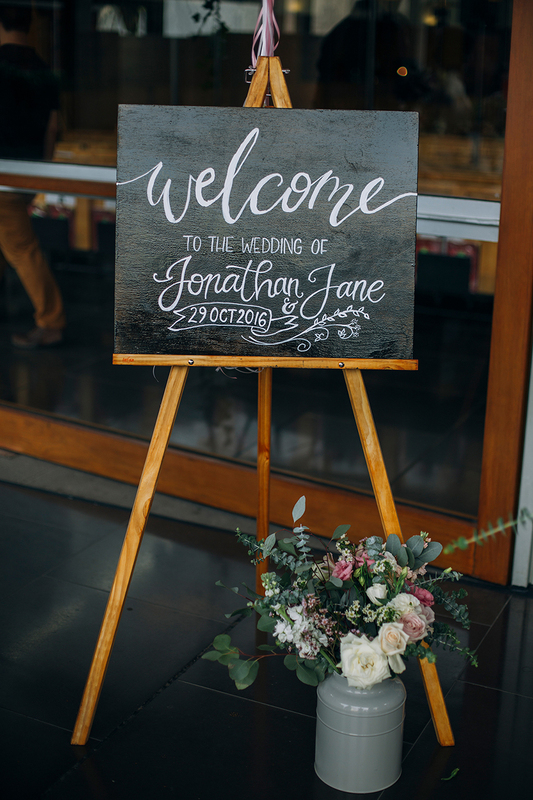 Congratulations Jonathan and Jane, and we wish you a long and loving marriage as beautiful as your wedding!